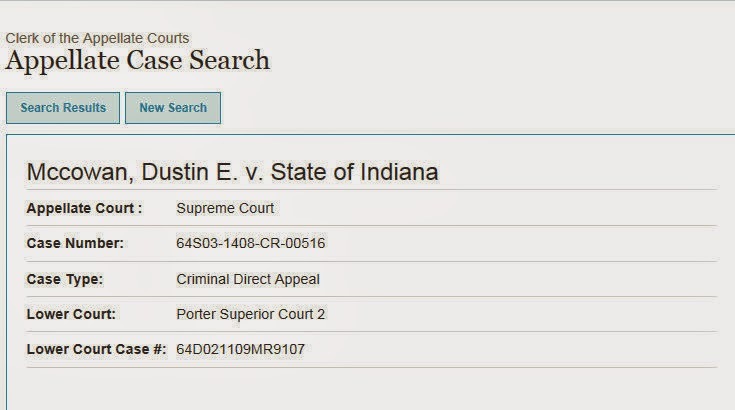 Question from the Peanut Gallery: LE believe that Dustin's father - [IN] Crown Point Police Officer Joseph Elliott McCowan - was involved in destroying evidence in Amanda Bach's murder. 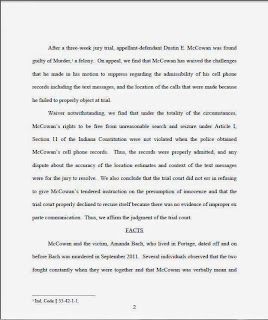 Will Dustin McCowan - now with all his appeals behind him and looking at 60 years in prison - turn over evidence to LE, regarding his father / Officer McCowan??? 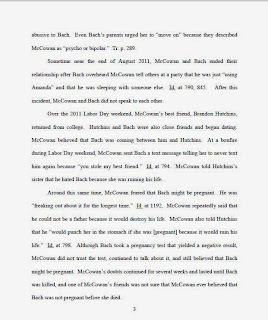 Supreme Court oral arguments for Dustin McCowan's appeal of his conviction for the murder of Amanda Bach will take place on October 23, 2014 at 9:45 AM - eastern time. 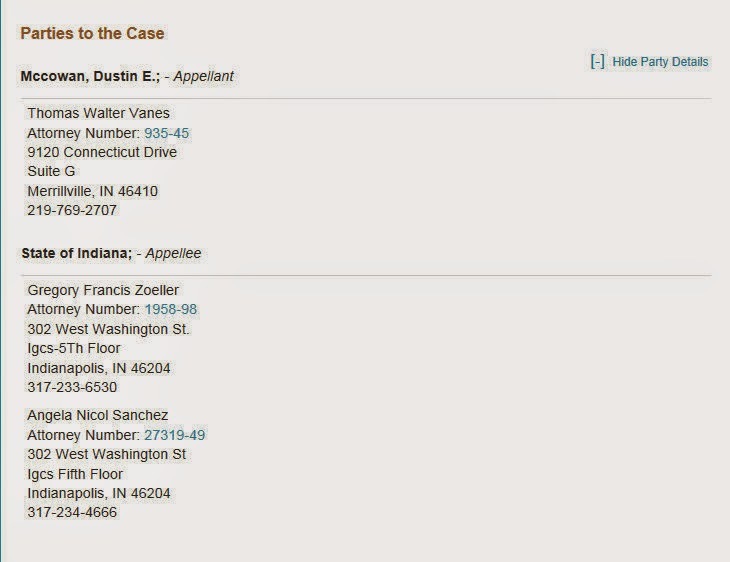 NWI residents, please note Indianapolis time difference [1 hour ahead of central time]. 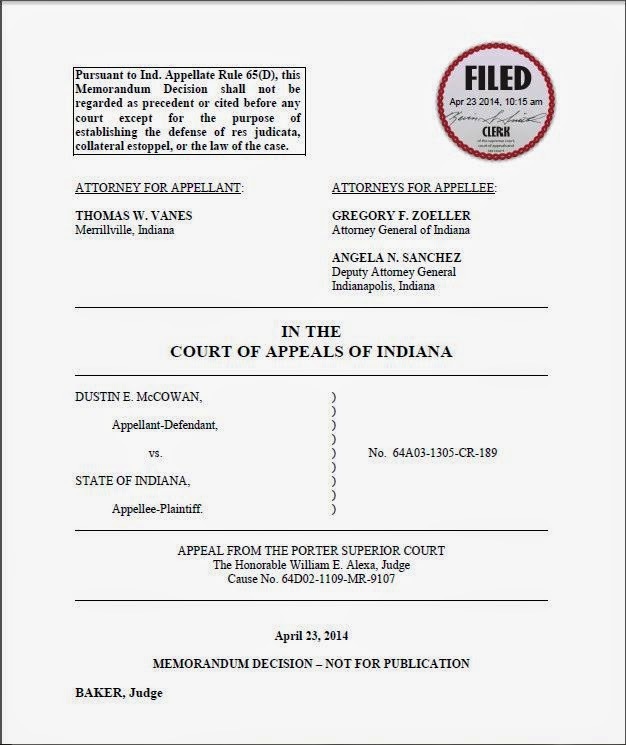 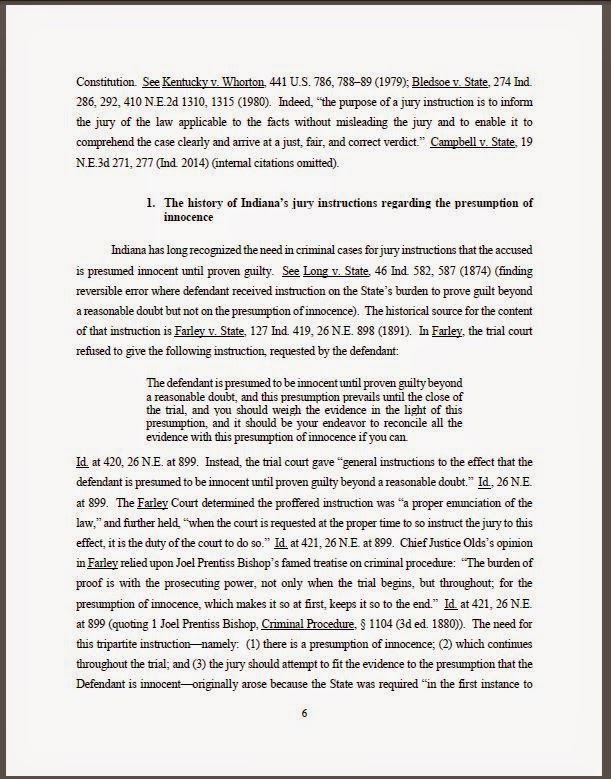 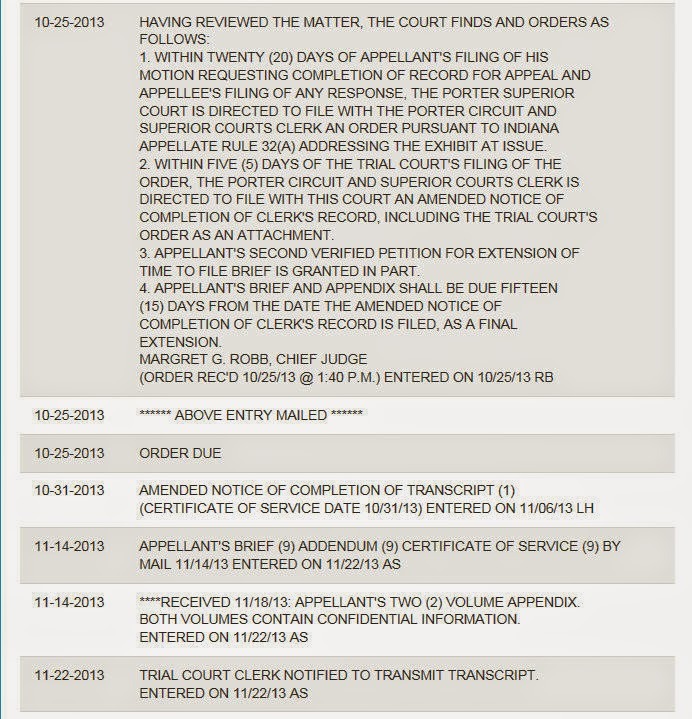 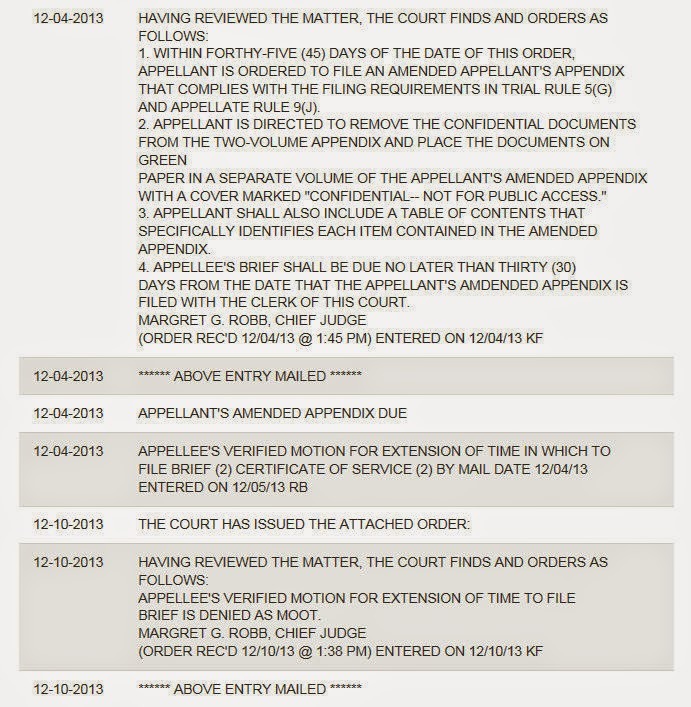 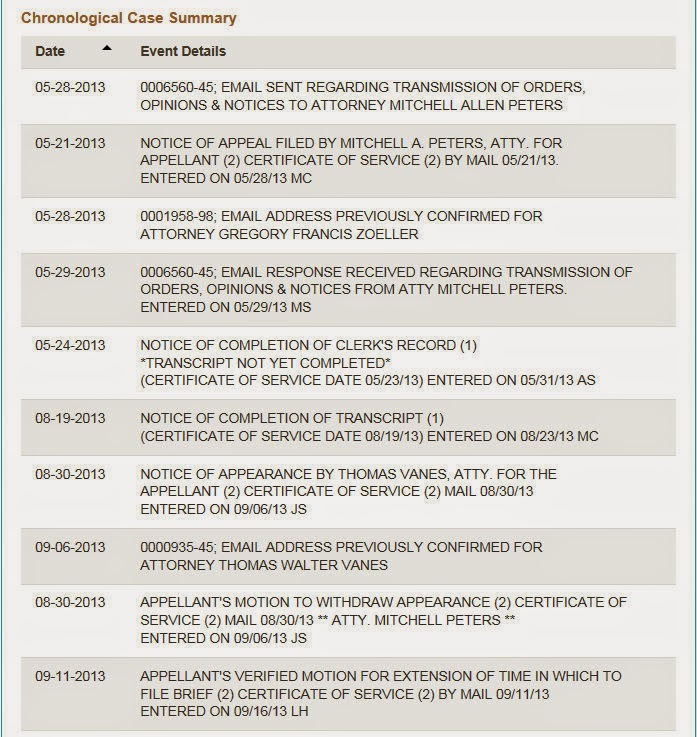 Oral arguments before the Indiana Supreme Court scheduled for October 23, 2014 at 9:45 A.M.
McCowan's right to appeal was granted by the Indiana Supreme Court. 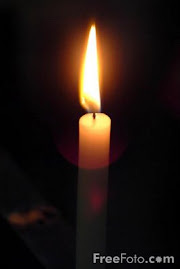 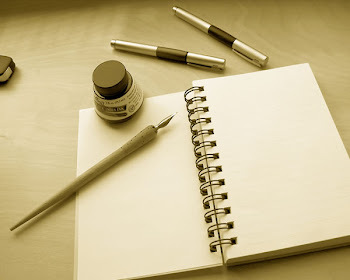 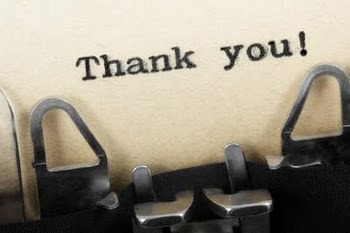 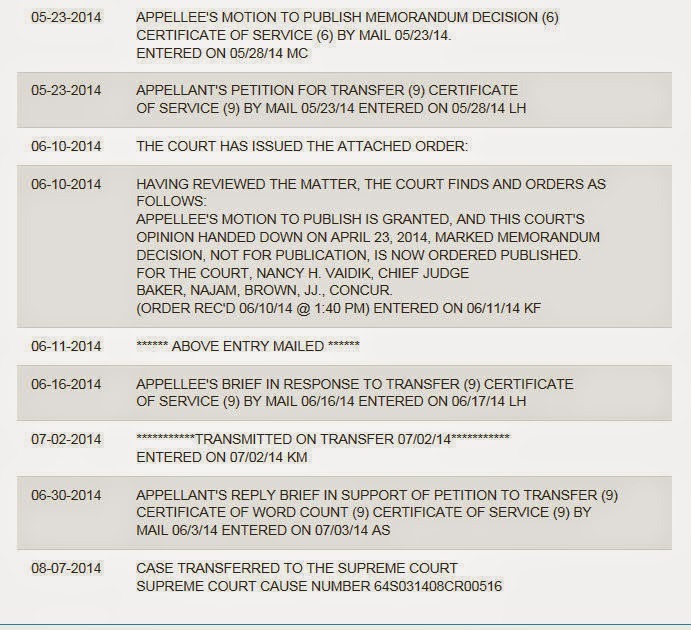 08-07-2014 APPELLANT'S PETITION FOR TRANSFER IS HEREBY GRANTED, THIS 7TH DAY OF AUGUST, 2014. 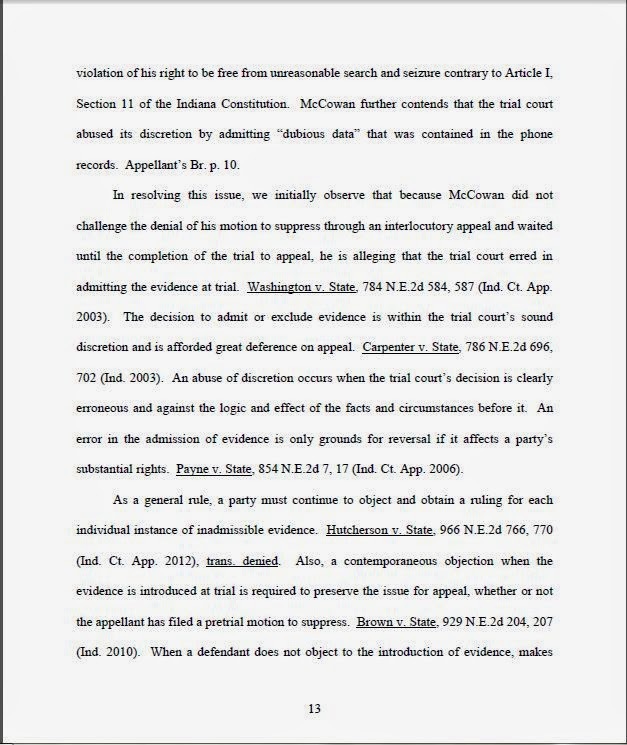 Indiana Supreme Court justices on Monday agreed to hear a northern Indiana man's appeal of his conviction in his ex-girlfriend's fatal shooting. Twenty-one-year-old Dustin McCowan is serving a 60-year sentence for the September 2011 murder of 19-year-old Amanda Bach of Portage, who was slain during a dispute. 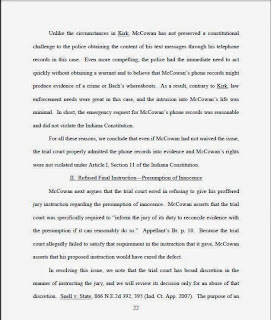 The Indiana Court of Appeals upheld McCowan's conviction and sentence in April, but the state's high court announced it would hear his appeal. 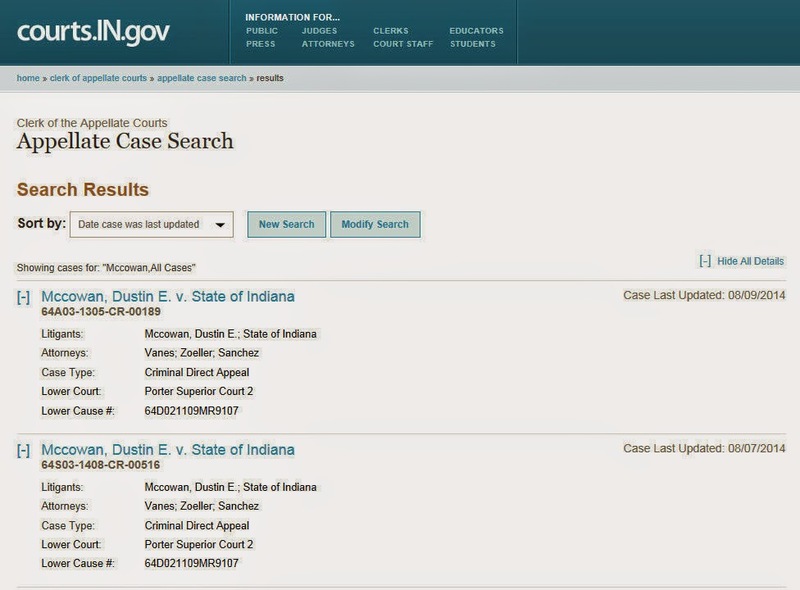 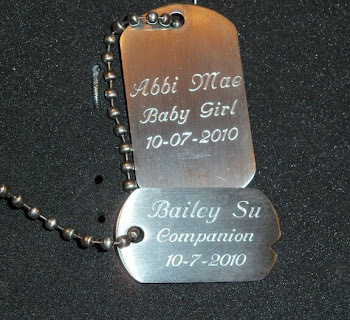 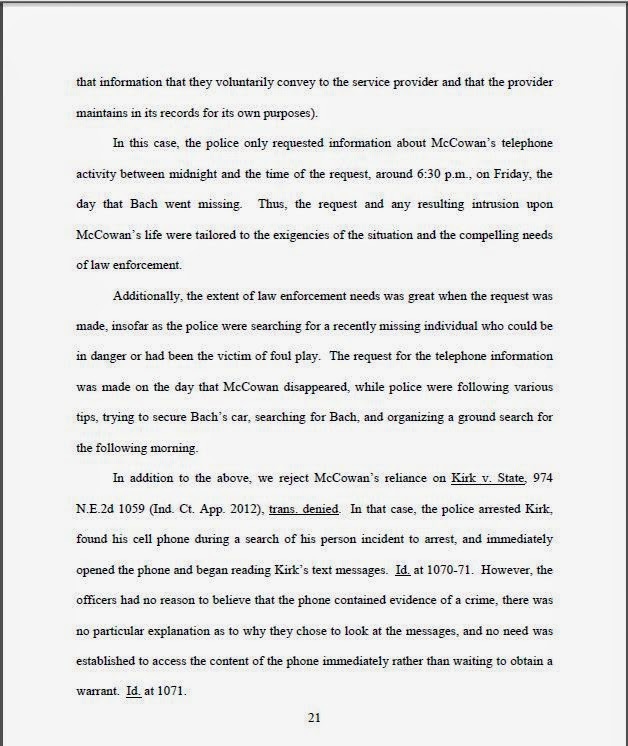 McCowan's appeal will likely focus on the admissibility of cellphone records purportedly showing McCowan at sites near where Bach's car and body were found, the Times of New Munster reported. 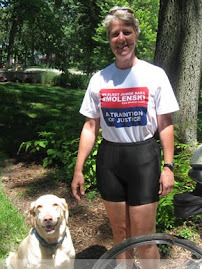 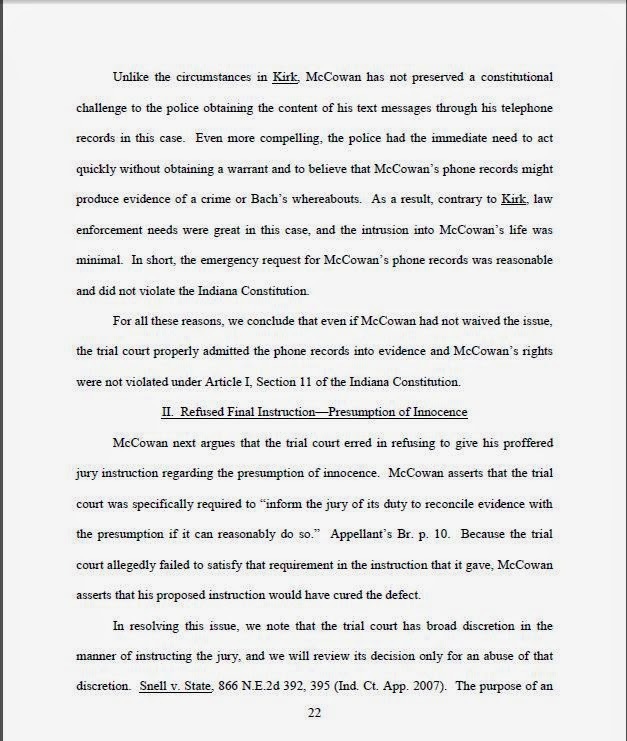 He's also expected to challenge a Porter County judge's alleged bias in the case and refusal to provide jurors with McCowan's preferred instruction on a criminal defendant's presumption of innocence. 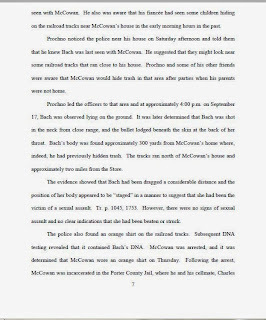 Bach's body was found in a wooded area near McCowan's home in Union Township three days after the 19-year-old disappeared. 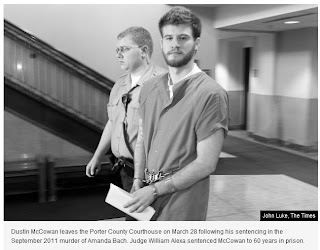 INDIANAPOLIS | The Indiana Supreme Court has agreed to hear the appeal of Dustin McCowan, the Porter County man serving a 60-year prison term for the Sept. 16, 2011, murder of his former girlfriend, Amanda Bach, of Portage. 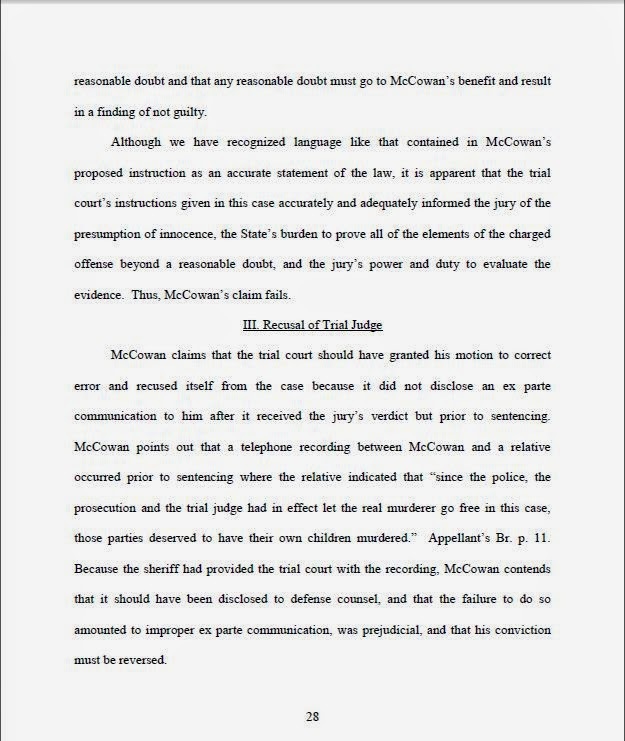 The state's high court announced Monday it granted transfer in McCowan's appeal. 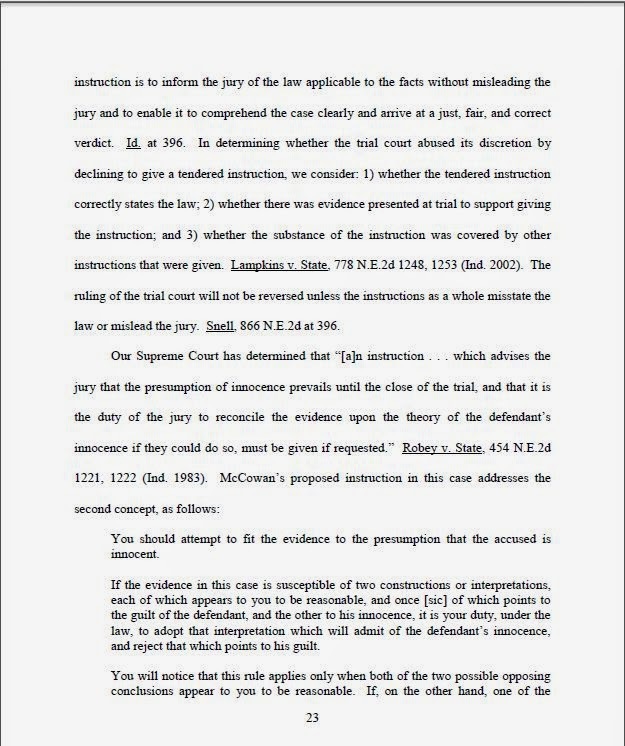 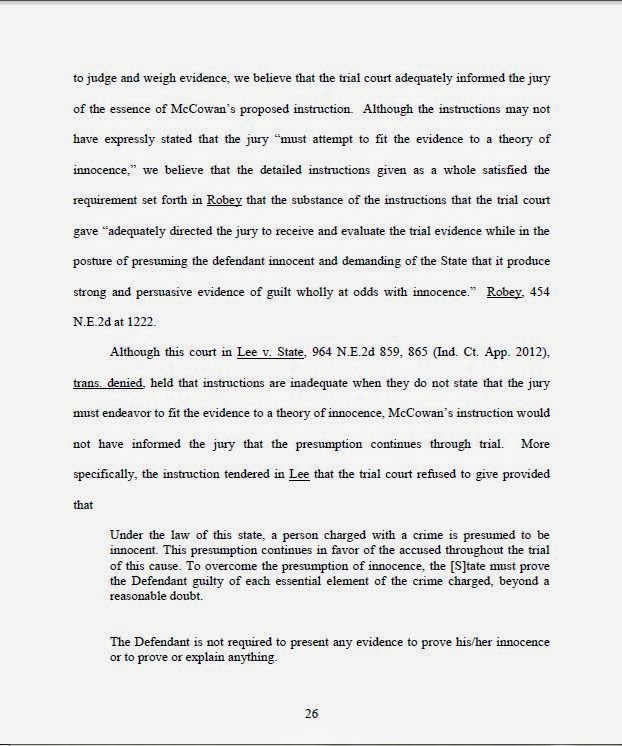 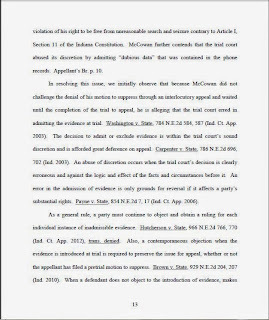 That vacates the April 23 decision by the Indiana Court of Appeals upholding McCowan's conviction and prison sentence. 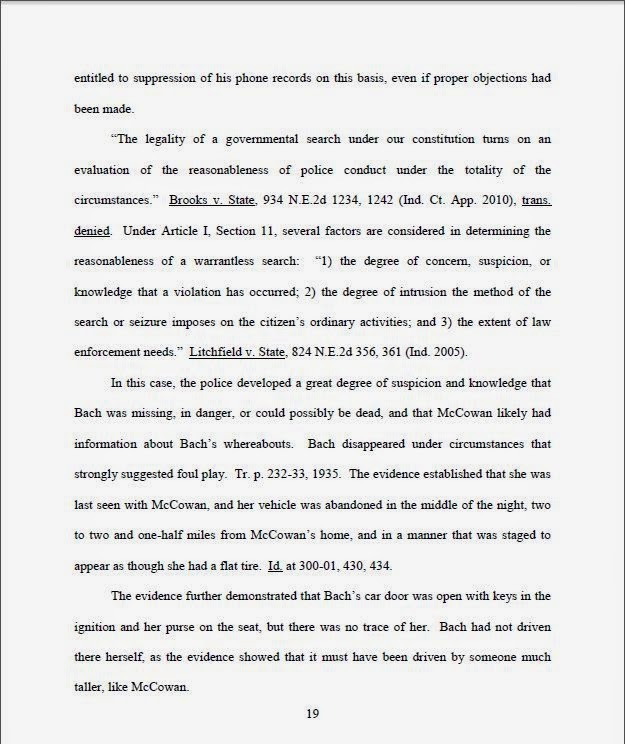 McCowan's Supreme Court appeal likely will focus on the admissibility of cellphone records purportedly showing McCowan at sites near where Bach's car and body were dumped on the date of the murder. 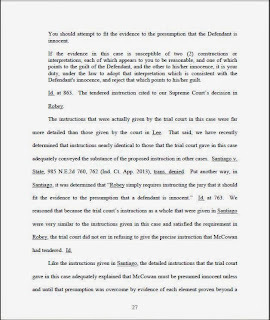 He also is expected to challenge Porter Superior Judge William Alexa's alleged bias in the case and the judge's refusal to provide jurors with McCowan's preferred instruction on a criminal defendant's presumption of innocence. 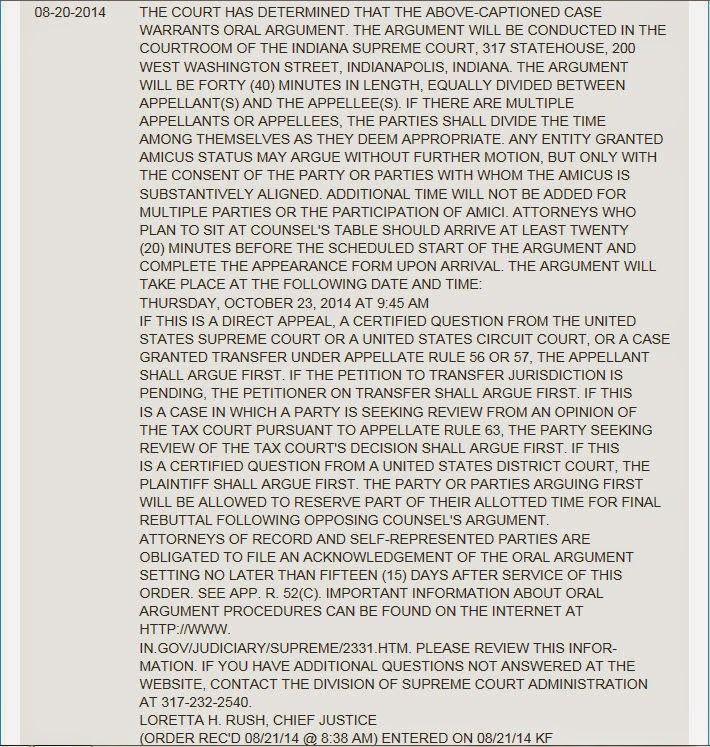 The Court of Appeals was unpersuaded by those arguments. 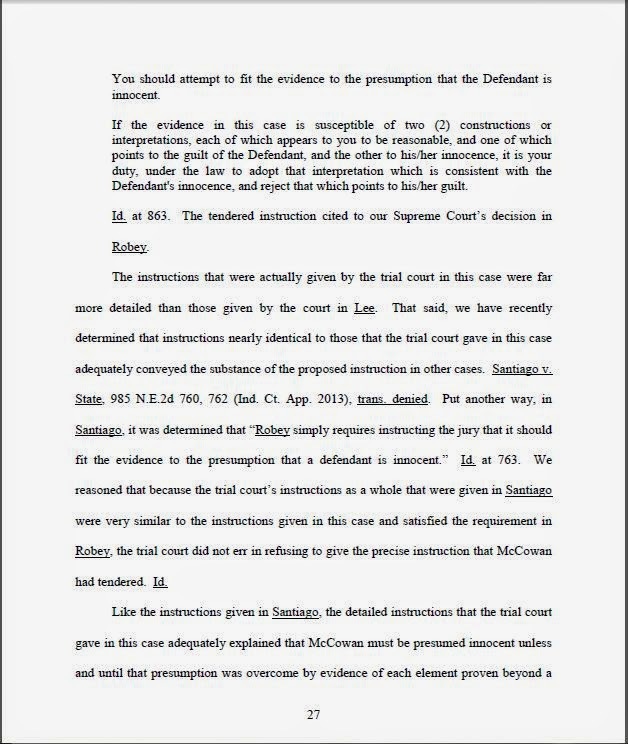 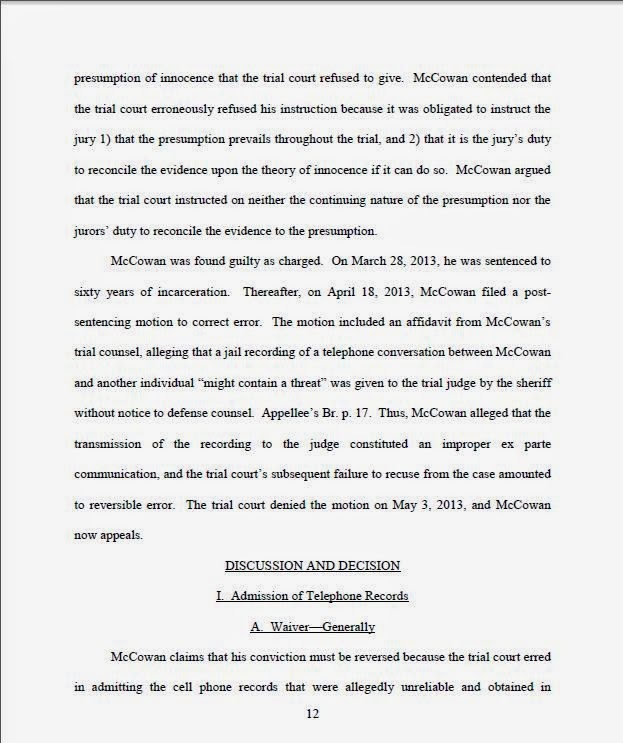 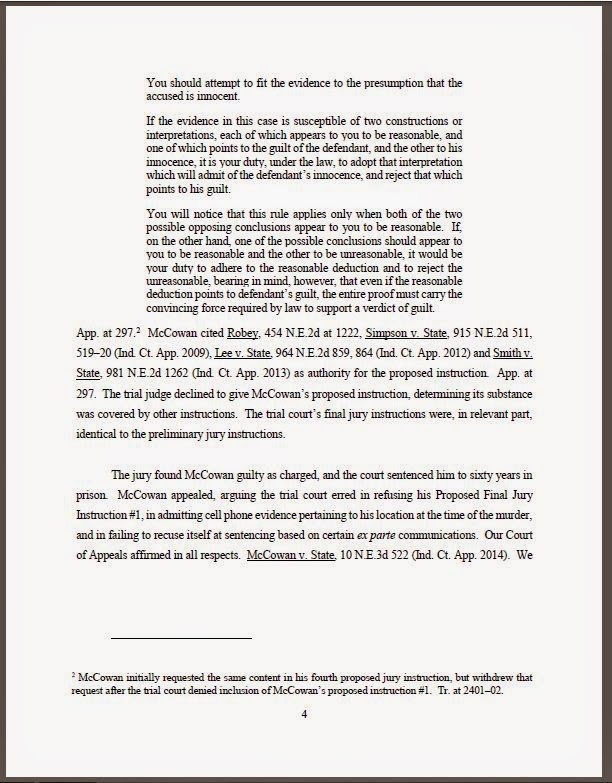 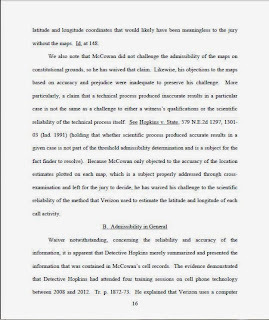 It ruled 3-0 that McCowan's cellphone records were properly admitted, the judge was under no obligation to recuse himself and the presumption of innocence notice was covered by other jury instructions. 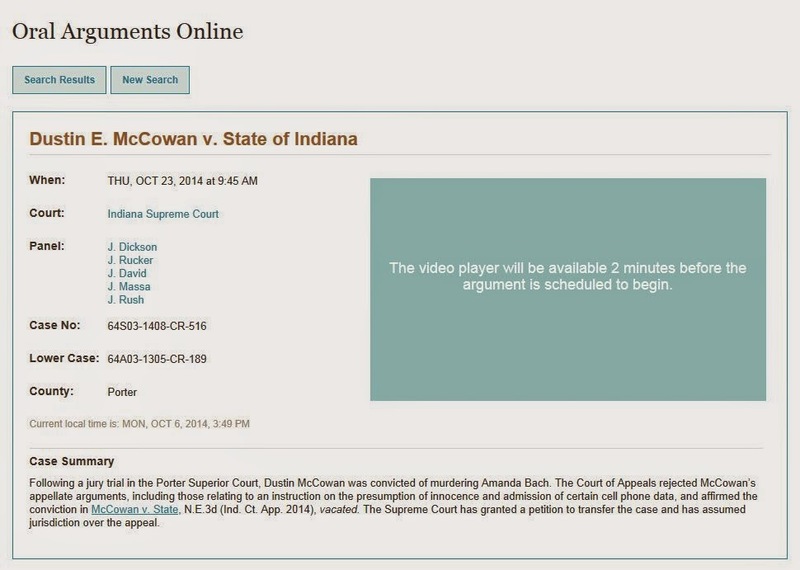 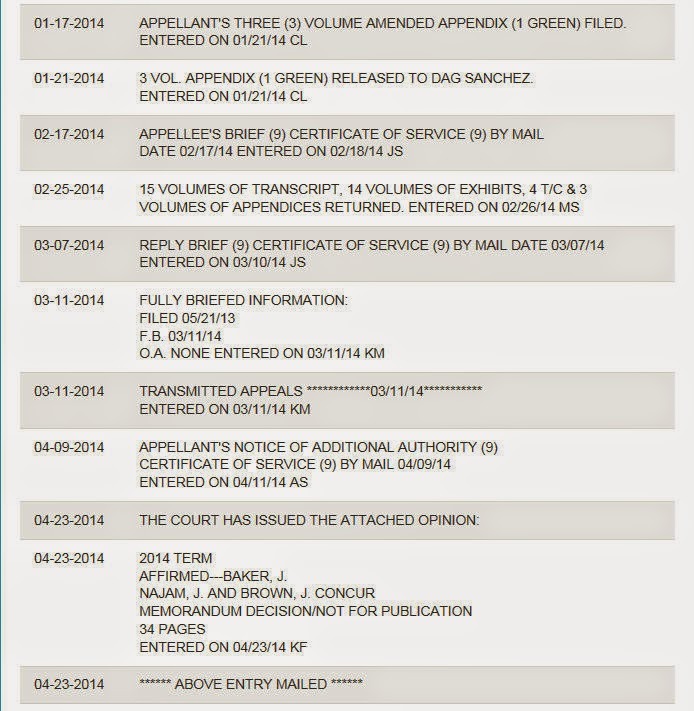 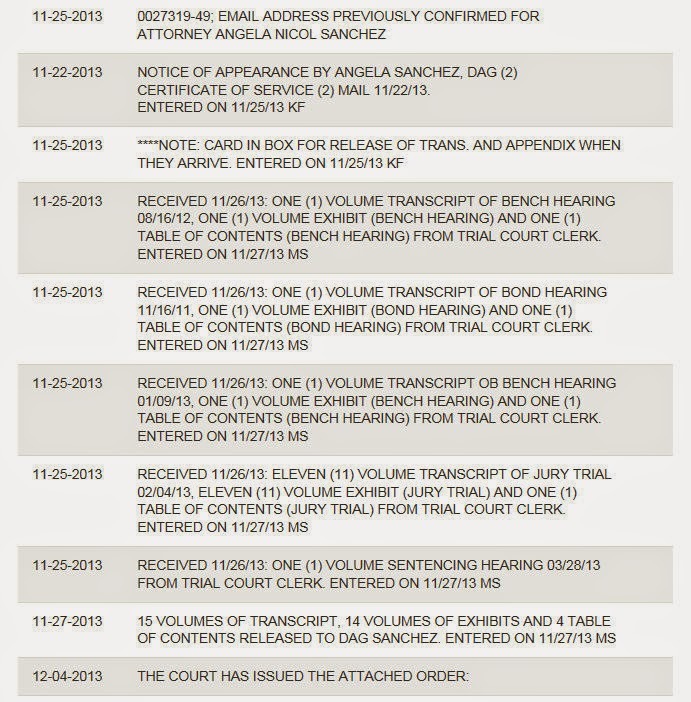 The Supreme Court probably will hear oral arguments in McCowan's appeal in early 2015. 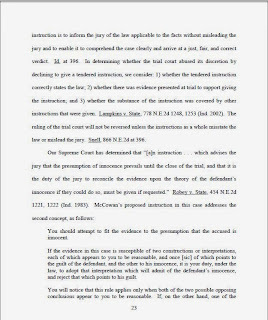 A ruling typically follows several months later. McCowan, now 21, was found guilty of shooting 19-year-old Bach in the throat during the early morning hours after she showed up at the Union Township home he was living in at the time with his father. 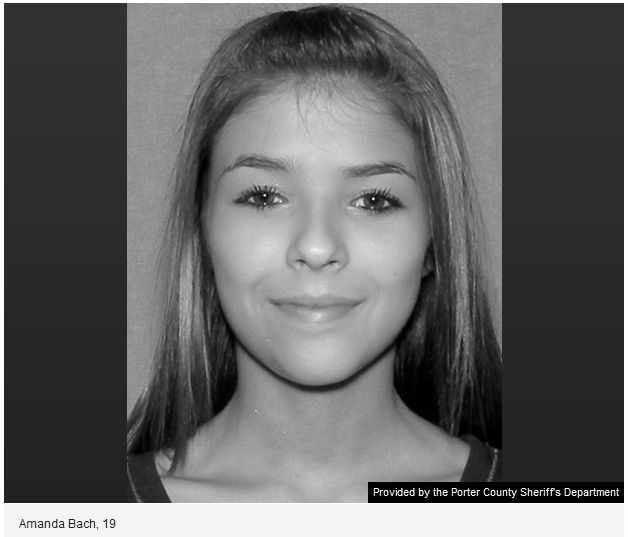 Her partially clothed body was found the following day less than 300 yards from the house in a wooded area along County Road 625 West at the Canadian National railroad tracks. 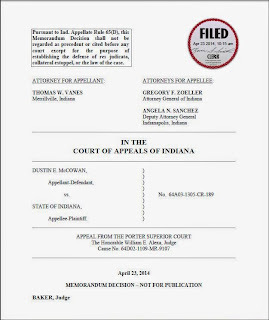 VALPARAISO | The Indiana Court of Appeals has upheld the conviction and 60-year prison sentence of Dustin McCowan in the 2011 shooting death of his former girlfriend Amanda Bach. 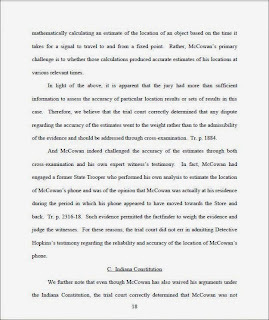 The court rejected claims by 21-year-old McCowan that police and Porter Superior Court Judge Bill Alexa erred in the handling of cell phone evidence, the instructions given to jurors and a threatening telephone message from a member of McCowan's family. 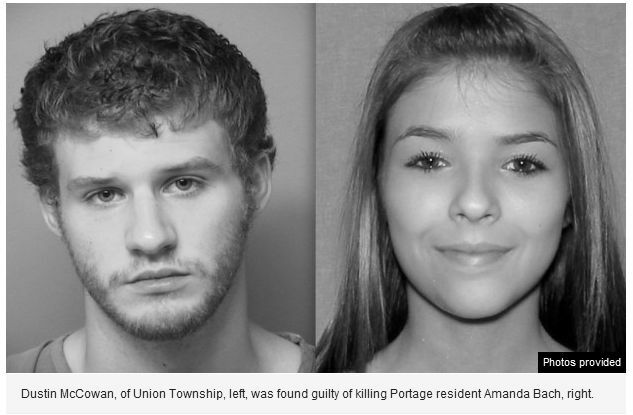 McCowan was sentenced in March 2013 after a jury found him guilty a month earlier of shooting his former girlfriend, 19-year-old Amanda Bach, of Portage, in the throat during the early morning hours of Sept. 16, 2011, after she showed up at the Union Township home he was living in at the time with his father. 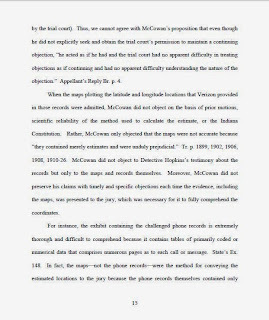 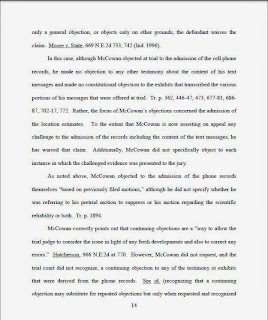 McCowan later argued his conviction should be reversed, in part, because Alexa "erred in admitting cell phone records that were allegedly unreliable and obtained in violation of his right to be free from unreasonable search and seizure" contrary to the state constitution, according to appellate court's ruling. 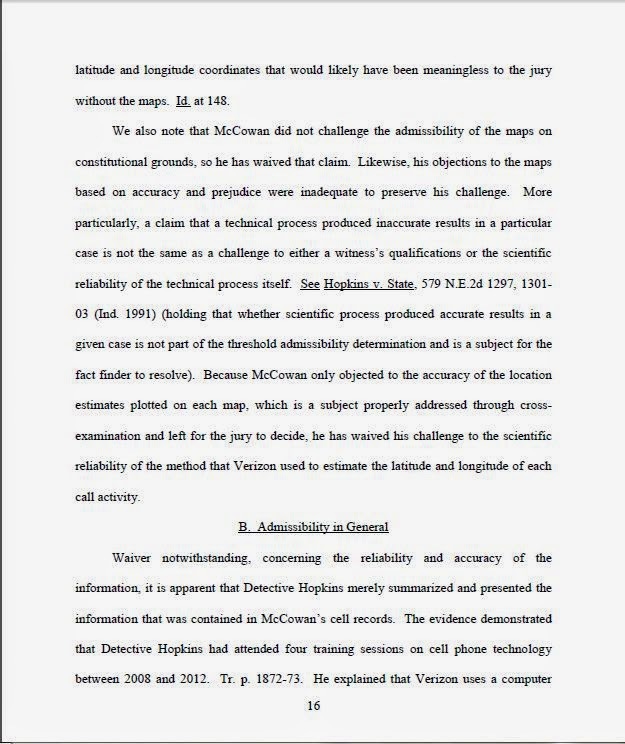 He further argued the court erred in admitting "dubious data" contained in those records. 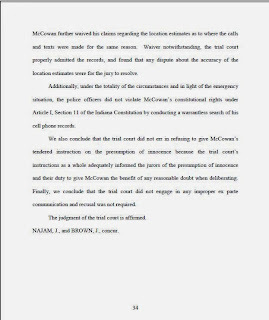 The appellate court ruled McCowan waived his challenge to the admissibility of those records because he failed to properly object. 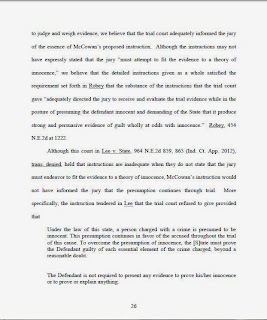 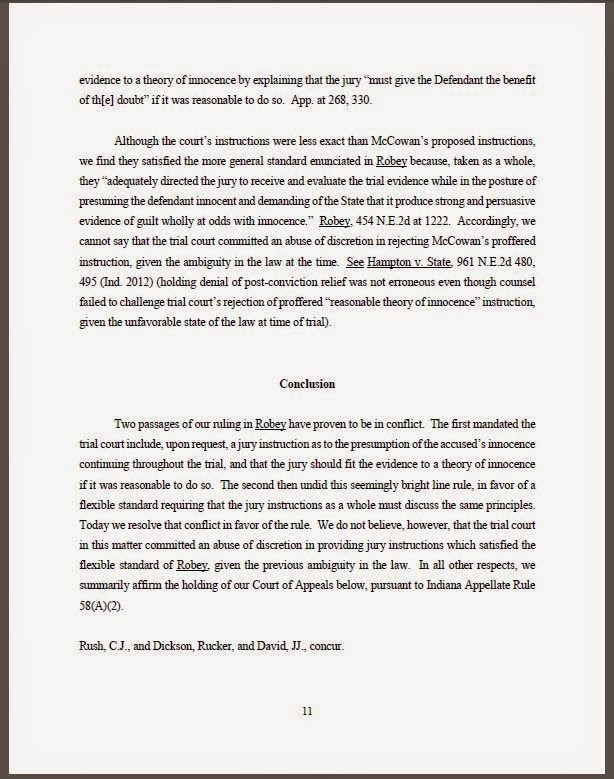 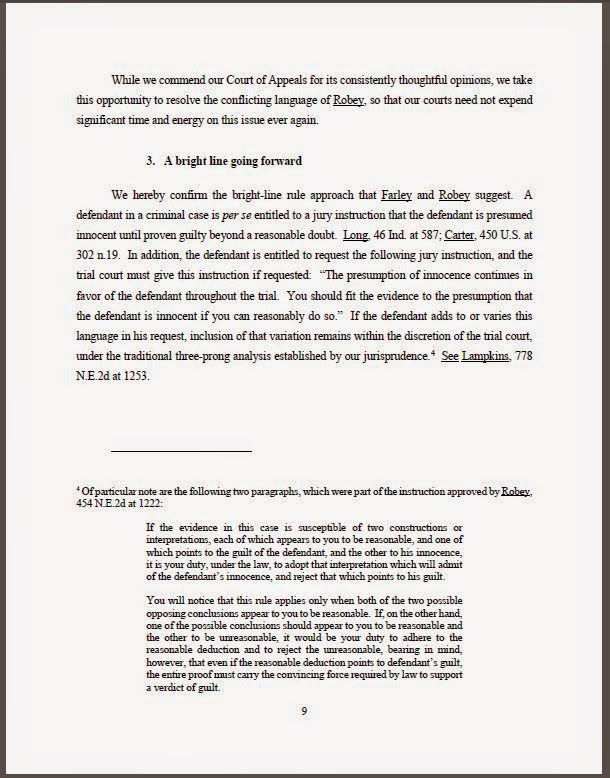 "Waiver notwithstanding, the trial court properly admitted the records, and found that any dispute about the accuracy of the location estimates were for the jury to resolve," according to the appellate court. 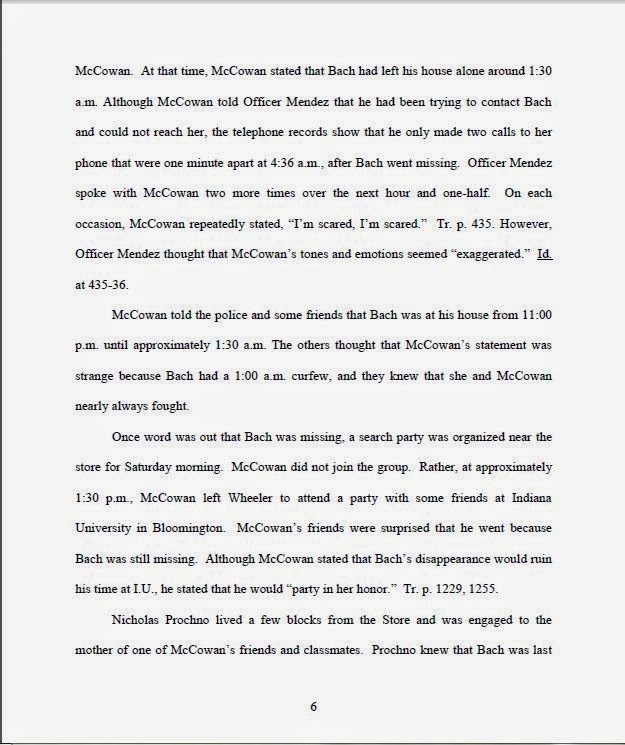 Prosecutors used the cell phone records at trial to challenge McCowan's claim he was at home at the time Bach was believed to have been killed. 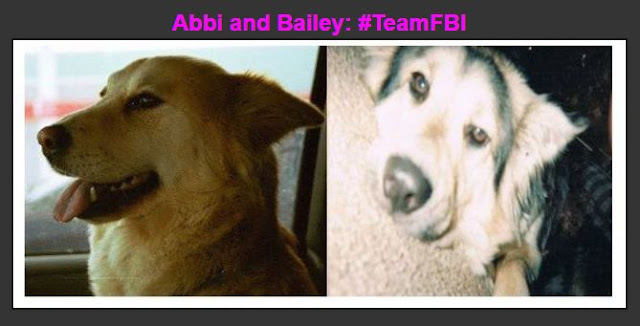 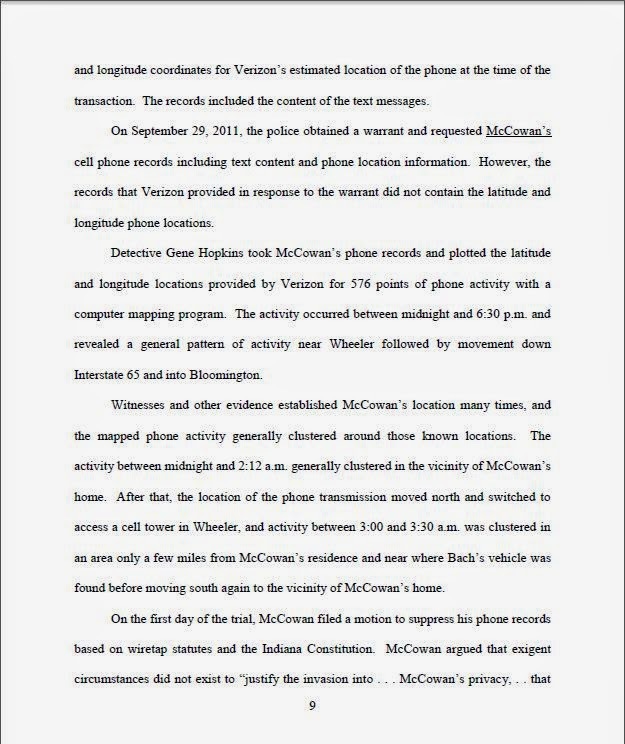 Cell activity recorded from towers in the Wheeler area place McCowan's phone at several locations around and between where Bach's body and car were found, police claimed. 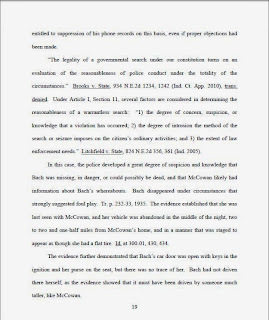 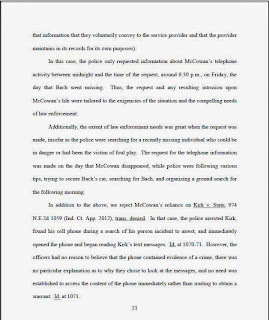 The court also found that "under the totality of the circumstances and in light of the emergency situation, the police officers did not violate McCowan's constitutional rights ... by conducting a warrantless search of his cell phone records." 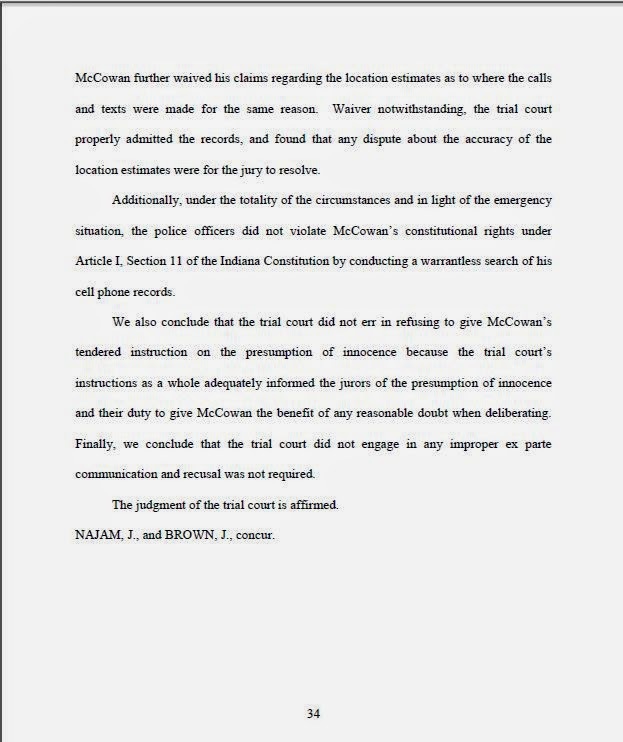 The appellate court also rejected a claim that Alexa failed to inform jurors of McCowan's presumption of innocence. 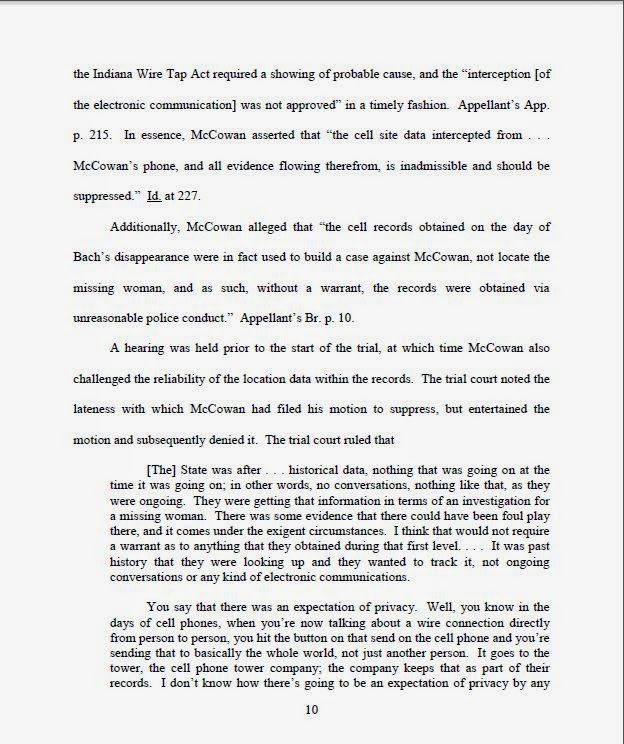 Lastly, the appellate court also tossed out a claim that Alexa erred by not stepping aside after learning about a telephone call with McCowan from the jail that included derogatory and threatening remarks about prosecutors, police and their family members. 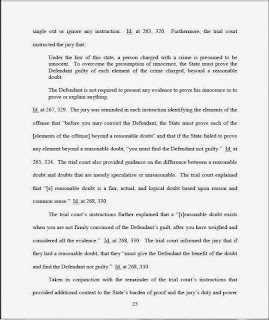 The appellate court determined that Alexa made it clear at sentencing he was not considering the call. 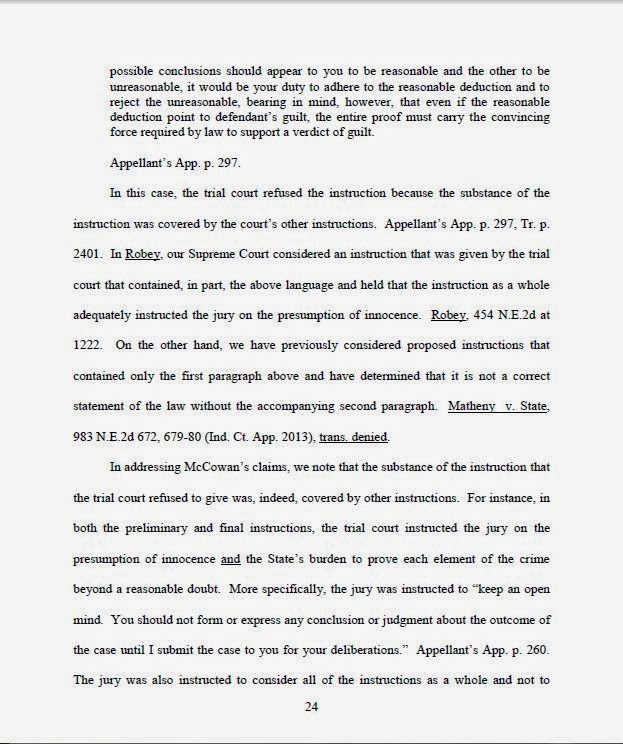 "There was nothing about the situation that would cause a reasonable person to doubt the trial court's impartiality," the court said. 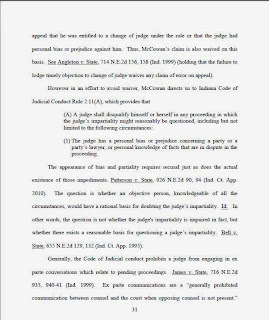 McCowan can still seek to have the Indiana Supreme Court consider his challenge, as well as file continued challenges at the local level. 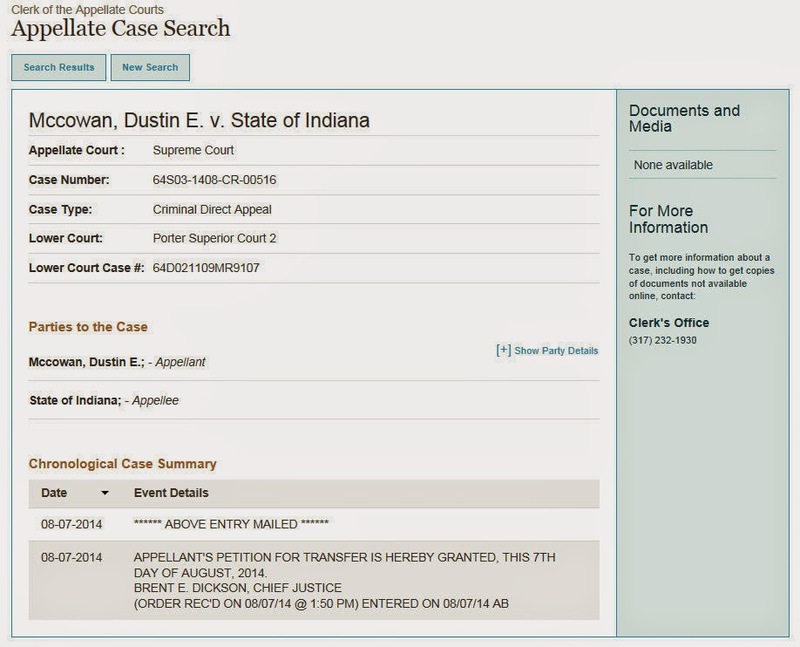 Crown Point Indiana police officer Joseph Elliott McCowan - Investigated for his possible role in hiding key evidence in his son Dustin's murder case. Dustin McCowan: son of Crown Point Indiana police officer Joseph Elliott McCowan. 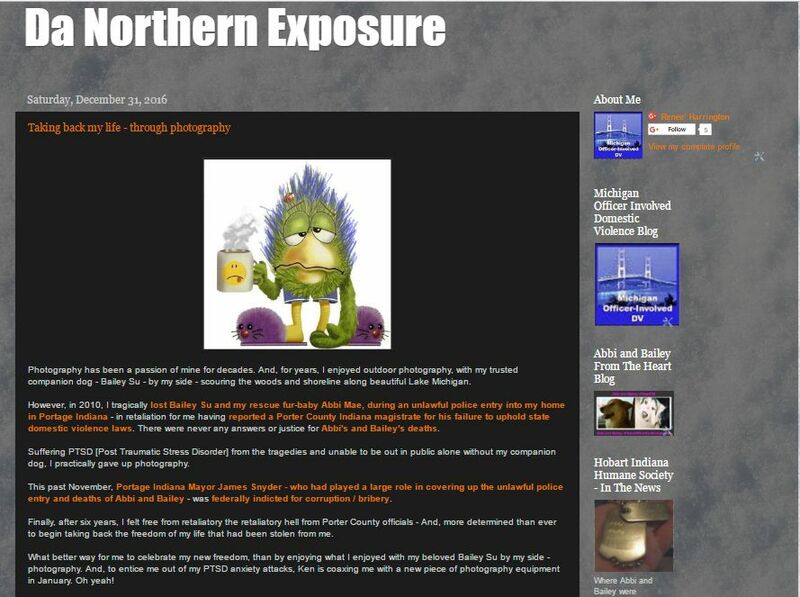 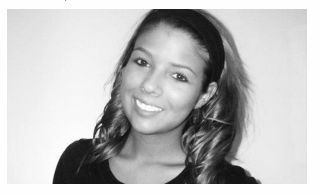 Convicted in February 2013 of murdering Amanda Bach [Portage IN - September 16, 2011]. 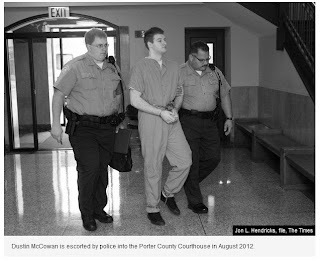 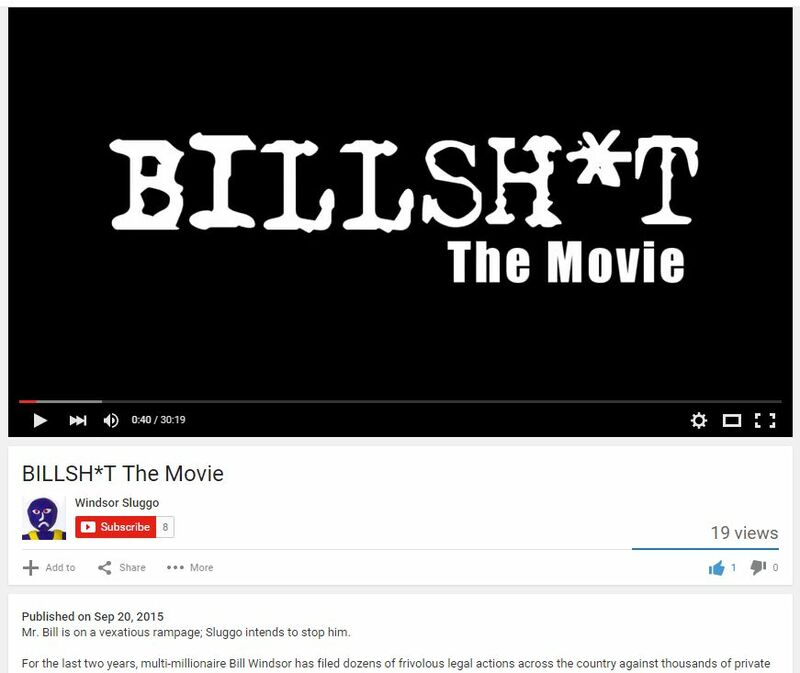 Sentenced to 60 years in prison [March 2013]. 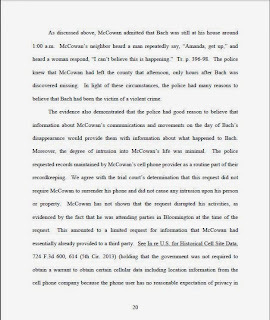 Immediately following the murder of Amanda Bach the Porter County SD also began investigating Dustin McCowan's father: Officer Joseph Elliot McCowan for his possible role in hiding key evidence [ Amanda's cell phone; the gun; etc] in the murder case against his son / Dustin. 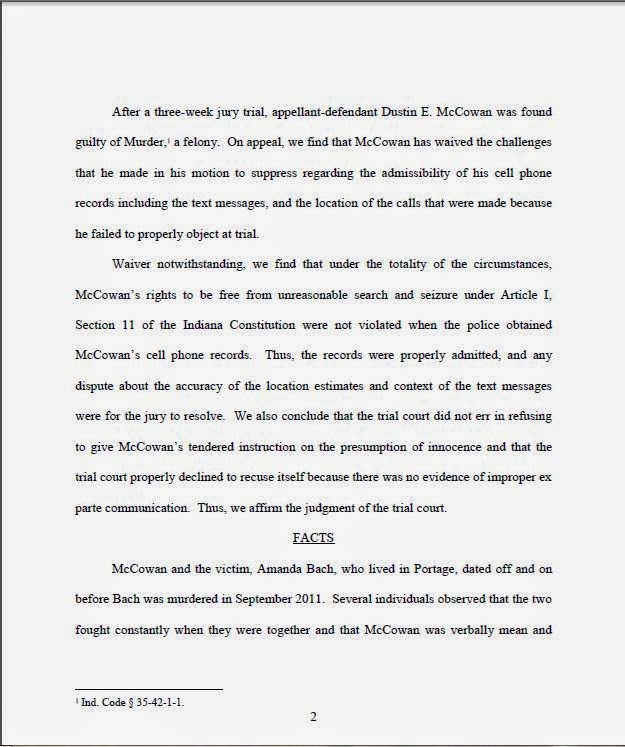 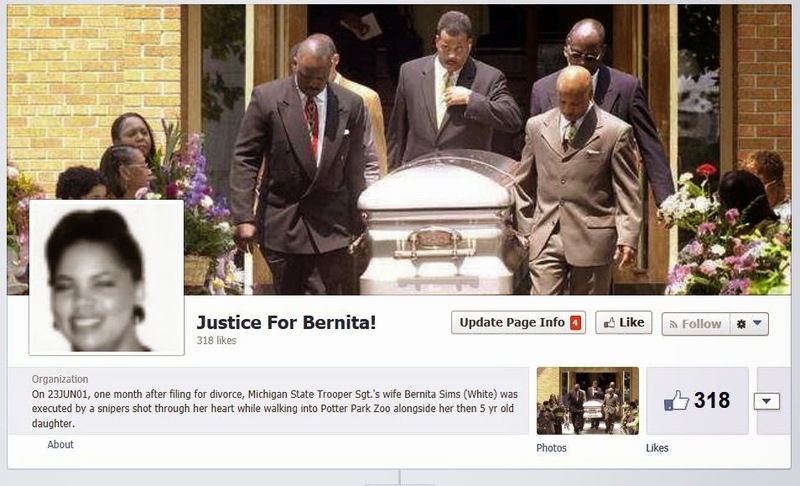 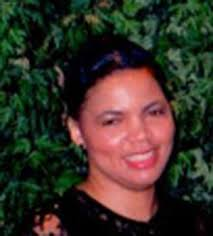 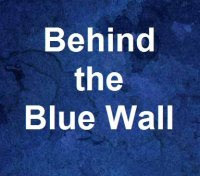 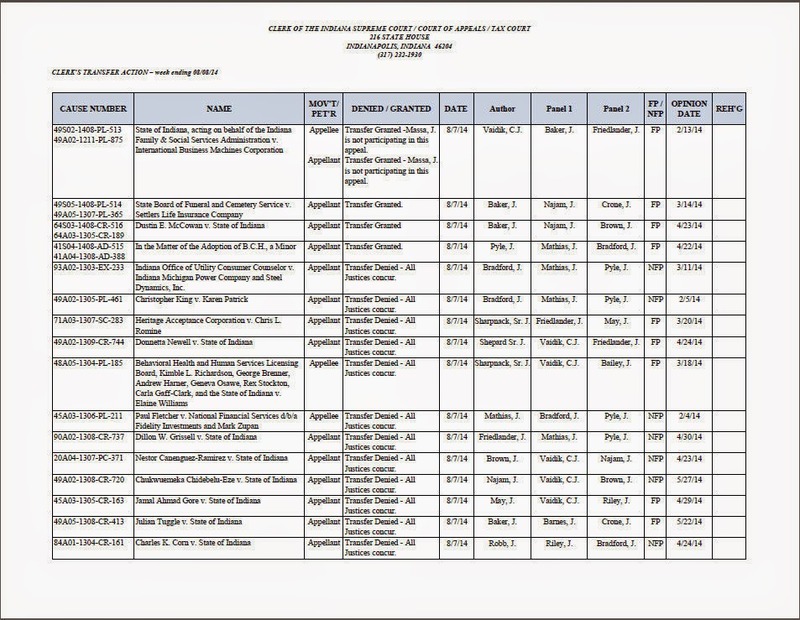 In April 2013 the Porter County SD discontinued its investigation of Officer McCowan. 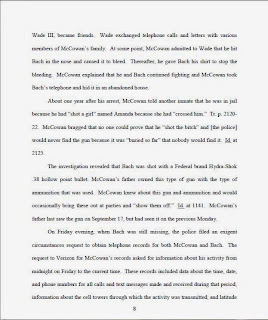 The sheriff department, prosecutor, and Amanda's parents believe that Officer McCowan played a role in covering up the murder of Amanda. 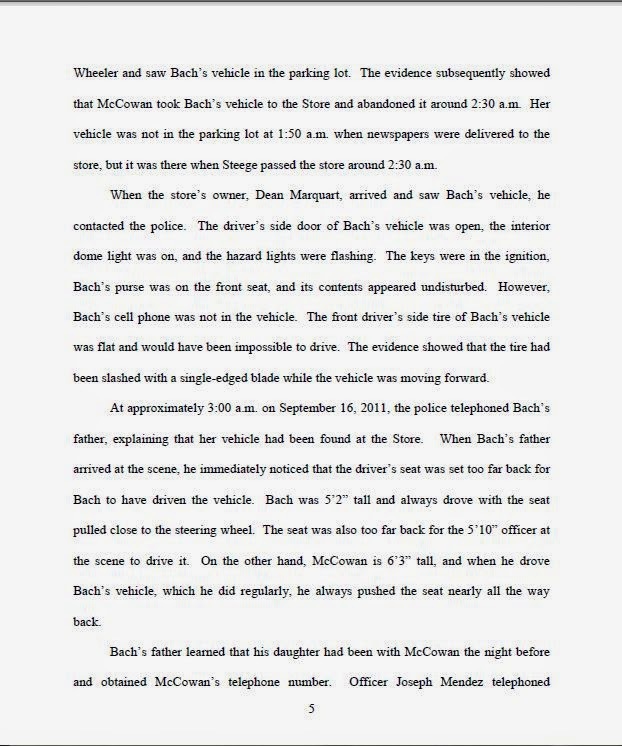 The Porter County Sheriff Department said the investigation of Officer McCowan could be re-opened if they receive new information in the case. VALPARAISO - Dustin McCowan has failed in his first shot at overturning his 60-year sentence and conviction for murdering former girlfriend Amanda Bach. 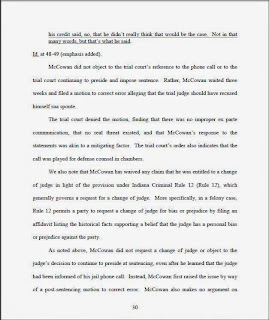 Porter Superior Court Judge Bill Alexa on Friday tossed out claims that he erred by not stepping aside after learning about a telephone call with McCowan from the jail that included derogatory and threatening remarks about prosecutors, police and their family members. Public defender Mitch Peters argued 20-year-old McCowan's original defense team did not know about the call until Alexa commented on it during sentencing or it would have asked the judge to recuse himself. 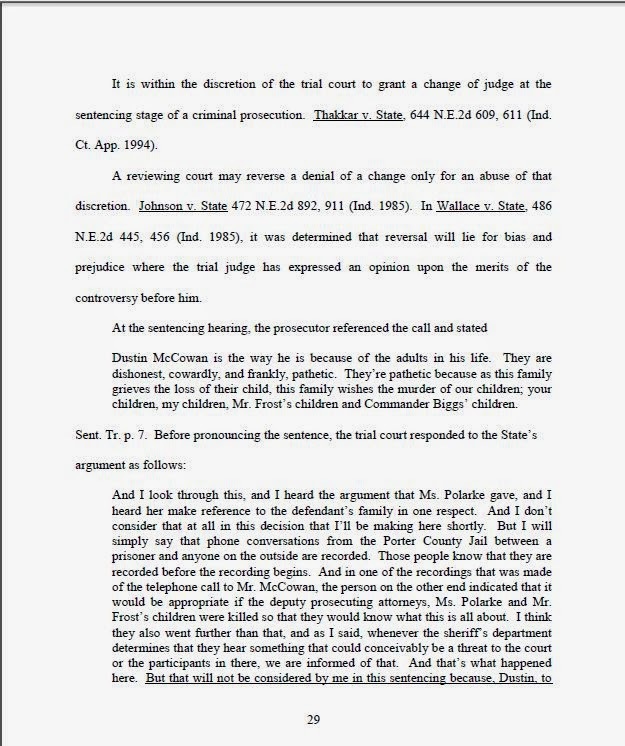 The judge mentioning the call indicated "a personal prejudice and animosity against the defendant," Peters said. 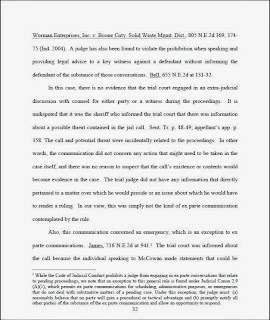 Alexa said in his Friday order that the court is made aware of any potential threats involving staff or participants in order to determine whether there is a risk to personal safety. 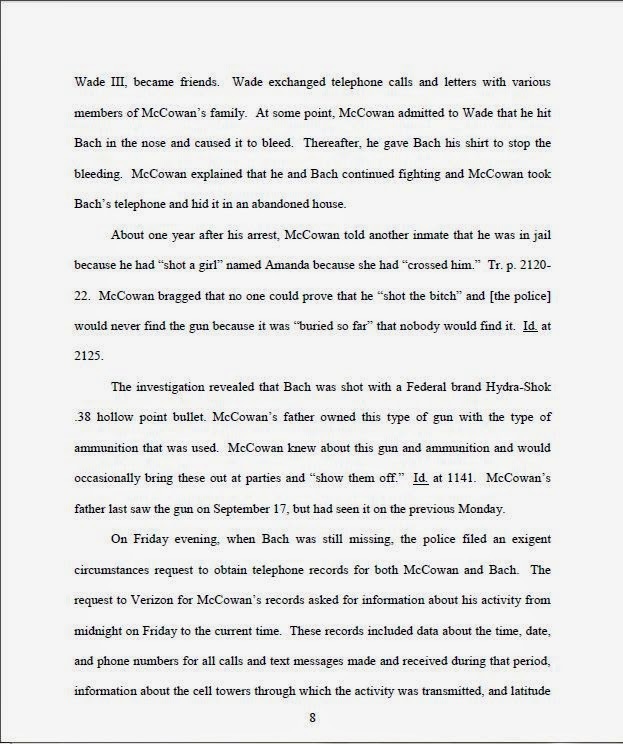 That is what occurred in this case, and Alexa said he determined there was no threat. 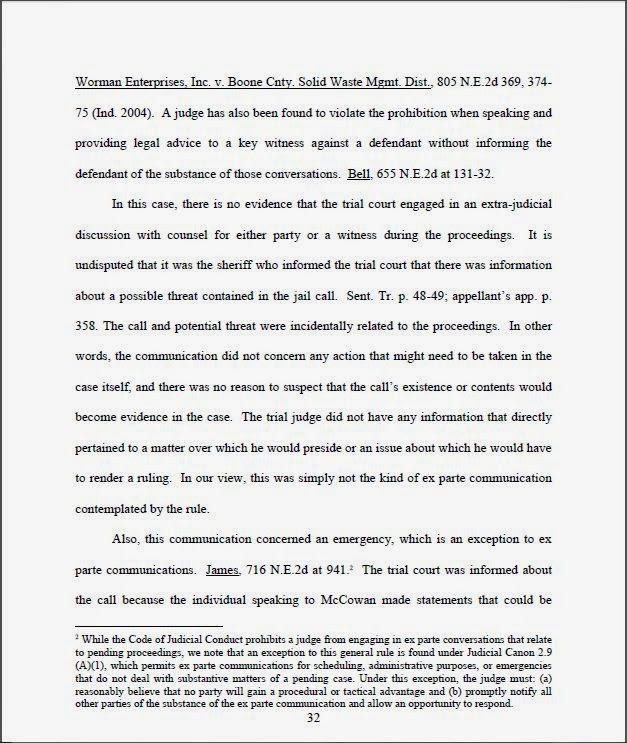 This type of communication is carried out for safety reasons and does not require recusal, he said. 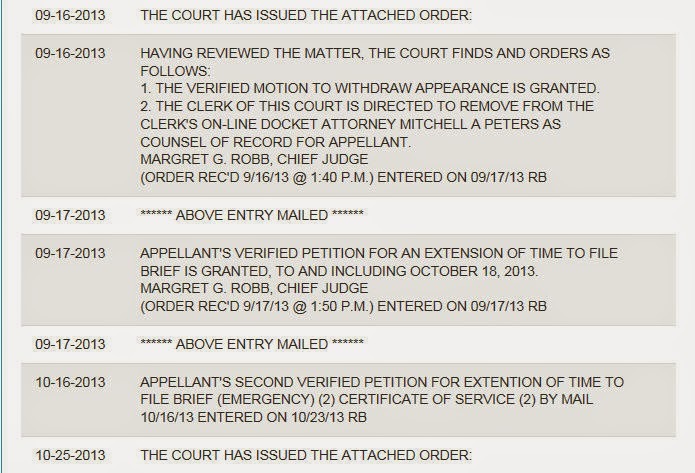 Alexa also said in his order that Peters filed the challenge April 18, before a written transcript was even available of the March 28 sentencing hearing. 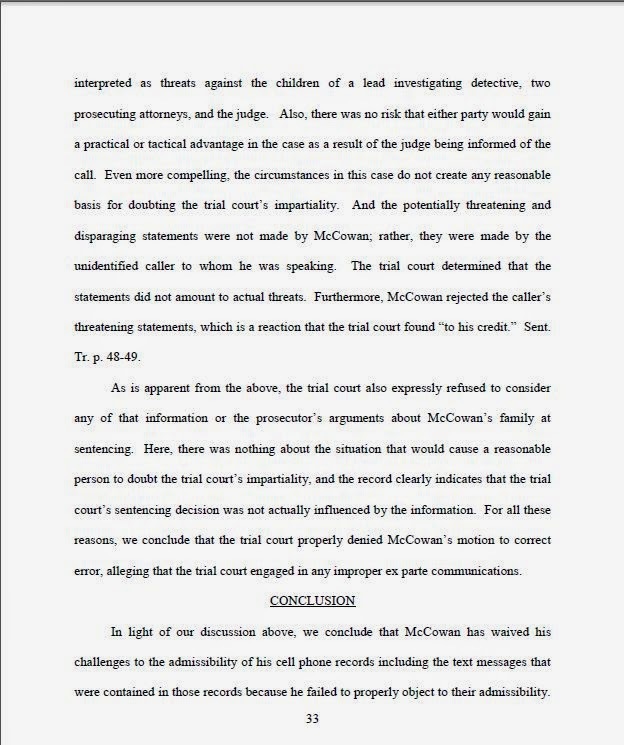 According to Friday's order, Alexa had said during the sentencing hearing that McCowan said no when it was suggested during the recorded telephone call that it would be appropriate for prosecutors' children to be killed "so that they would know what this is all about." 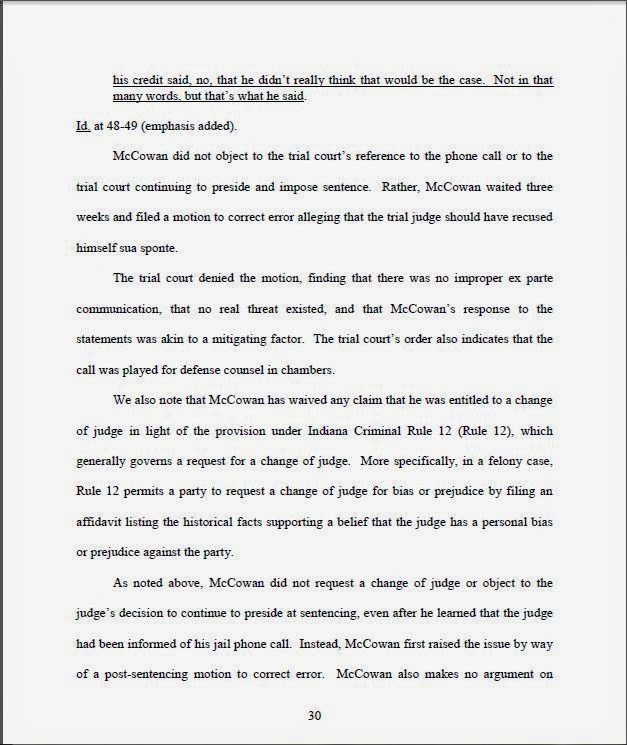 As a result, Alexa said he did not take the call into consideration when he decided on a sentence. 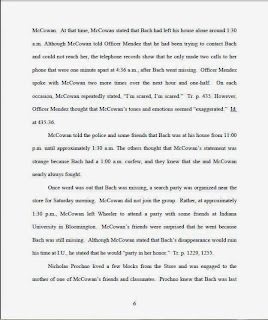 The call in question was between McCowan and an unnamed person. 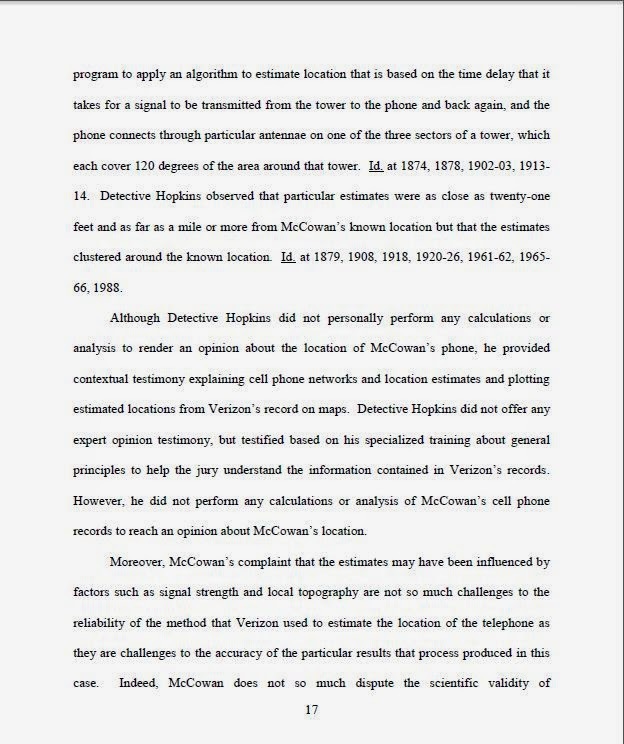 Peters has said this failed motion to correct errors was a prerequisite for appeal when addressing newly discovered evidence that could not have been discovered at the time of trial. 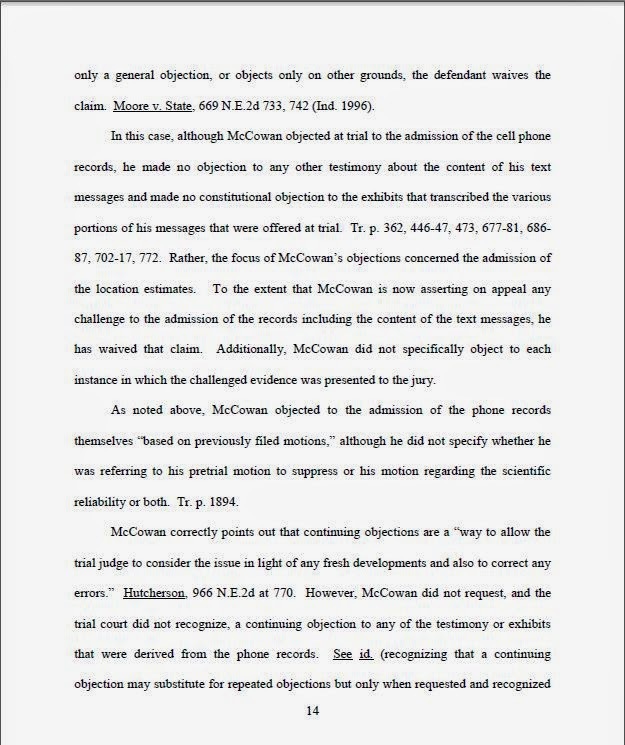 He reserves the right to take up other issues on direct appeal, but first must review the record considering he did not represent McCowan at the time of trial. 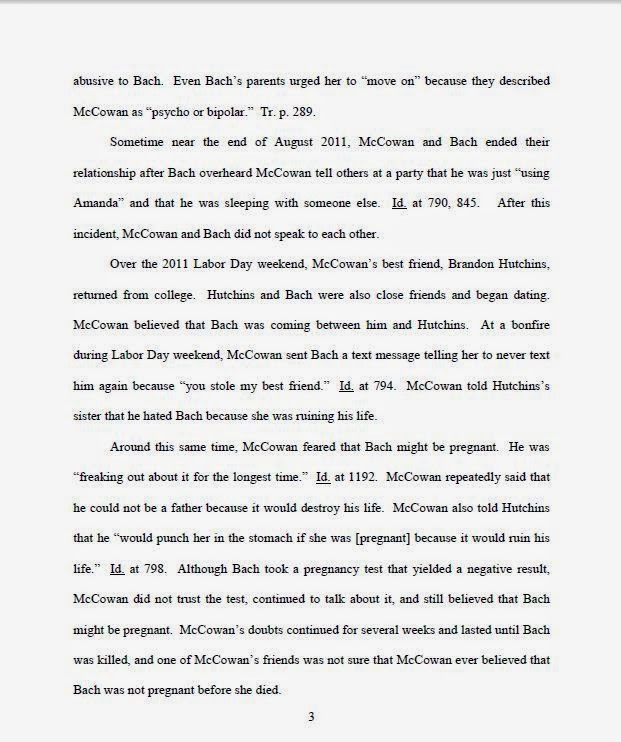 A jury found McCowan guilty in February of shooting his former girlfriend, 19-year-old Bach, of Portage, in the throat during the early morning hours of Sept. 16, 2011, after she showed up at the Union Township home he was living in at the time with his father. 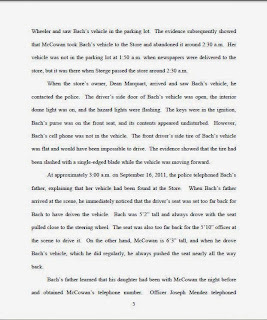 Bach's partially clothed body was found the next day, less than 300 yards from the house in a wooded area along County Road 625 West at the Canadian National Railroad tracks. 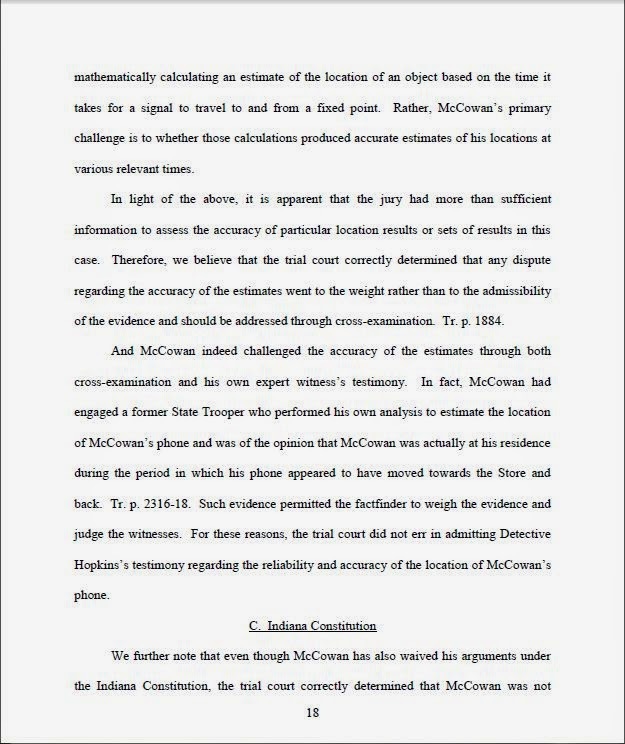 McCowan, who has maintained his innocence, has been transferred to the Pendleton Correctional Facility to begin serving his time. He is listed on the DOC's online offender search site with a release date of Sept. 17, 2041. 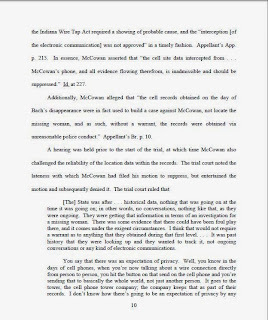 VALPARAISO - A public defender brought in to handle the appeal for convicted murderer Dustin McCowan is seeking to toss out the conviction and/or 60-year sentence because Porter Superior Court Judge Bill Alexa did not step aside after learning about a telephone call with McCowan from the jail that includes derogatory and threatening remarks about the judge. 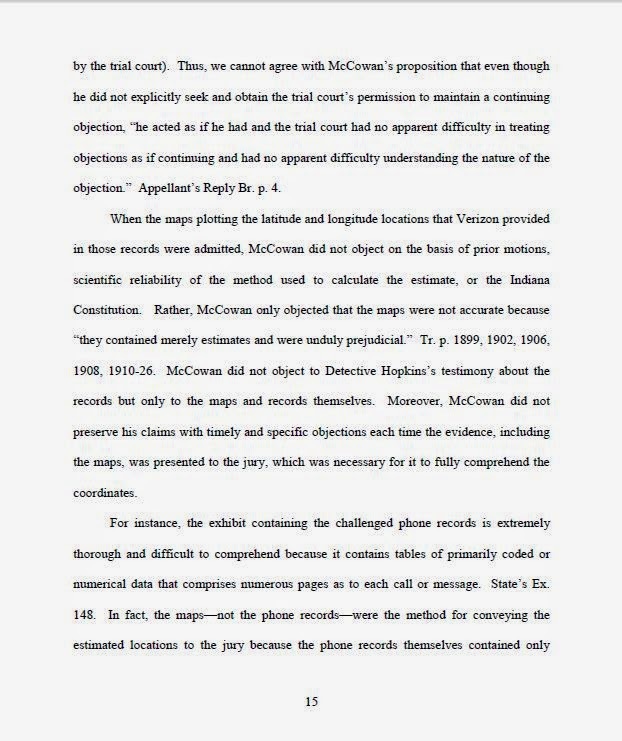 The original defense attorneys, who did not learn about the recorded call until Alexa made reference to it during the March 28 sentencing, would have asked the judge to recuse himself had they been made aware of it ahead of time, said attorney Mitch Peters. 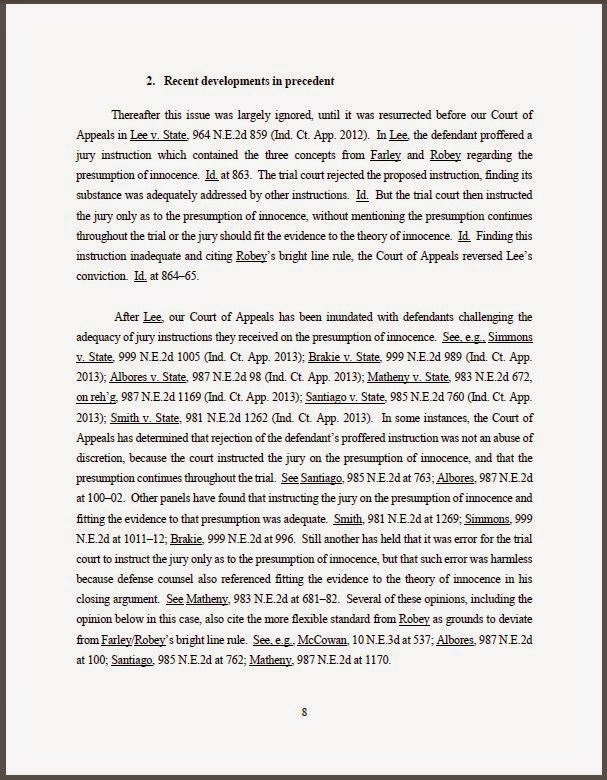 Alexa mentioning the call during sentencing indicates "a personal prejudice and animosity against the defendant inspired by said conversation," Peters wrote as part of his motion to correct errors filed Thursday. 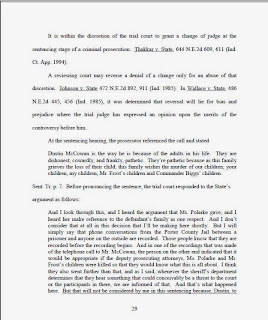 Alexa said at sentencing that the call by McCowan at the jail included a comment that prosecutors would have to experience the murder of their own children to understand what the McCowans were going through. 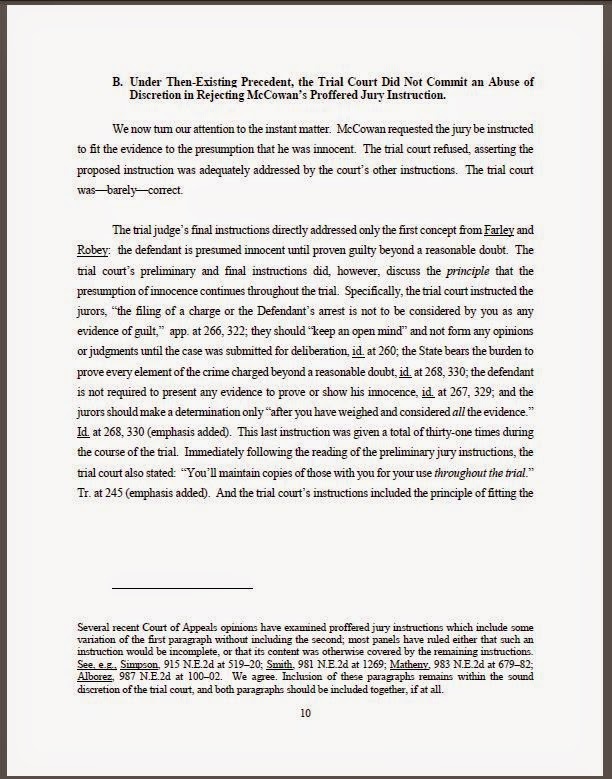 No hearing had been set on the motion as of Friday. 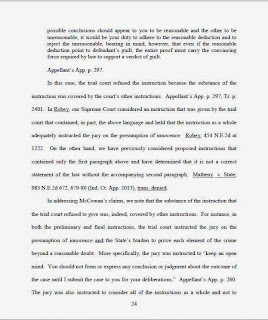 Peters argues that state trial rules say that "the court, if it determines that prejudicial or harmful error has been committed, shall take such action as will cure the error." 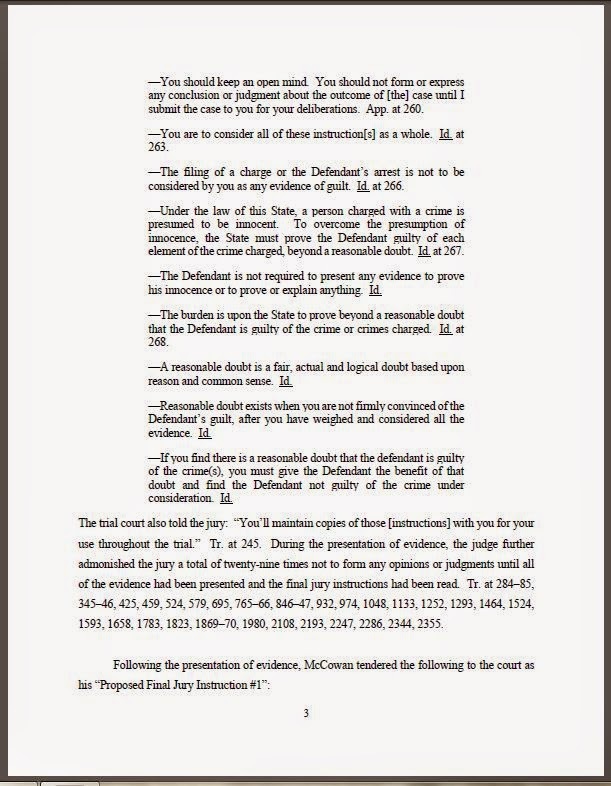 The potential remedies include a new trial or modifying the original judgment. 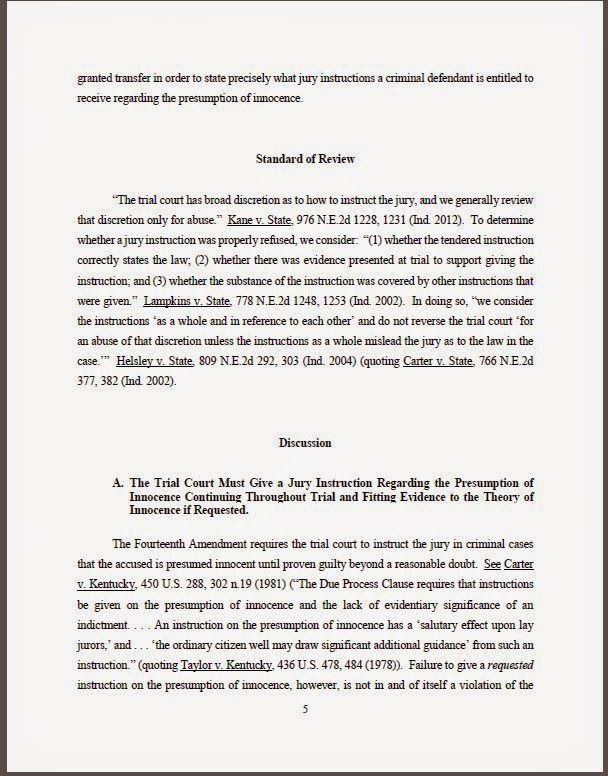 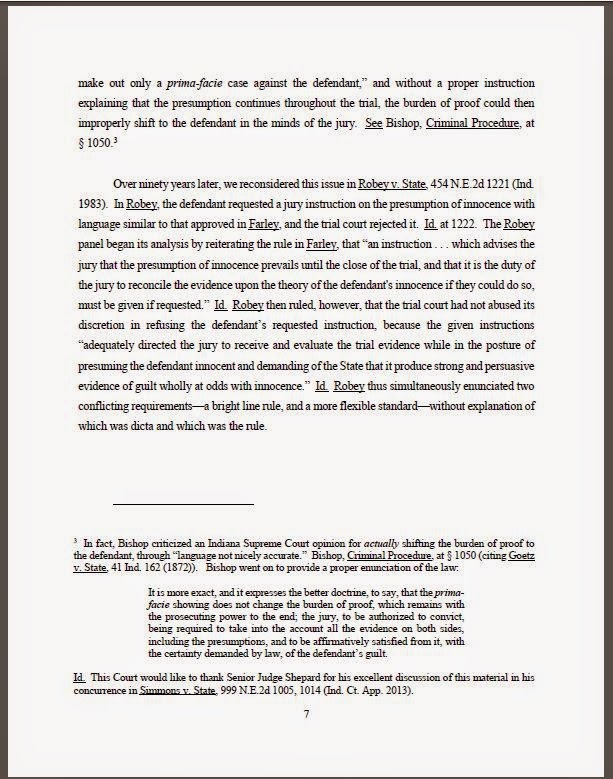 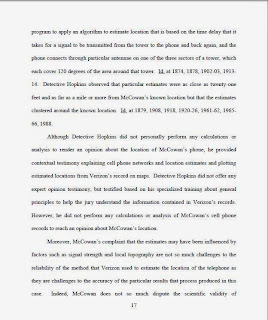 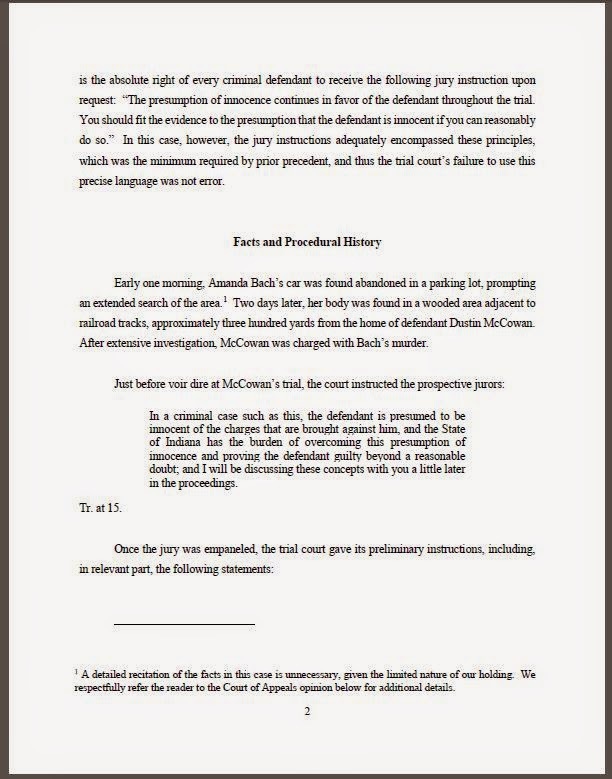 Peters said this motion to correct errors is a prerequisite for appeal when addressing newly discovered evidence that could not have been discovered at the time of trial. 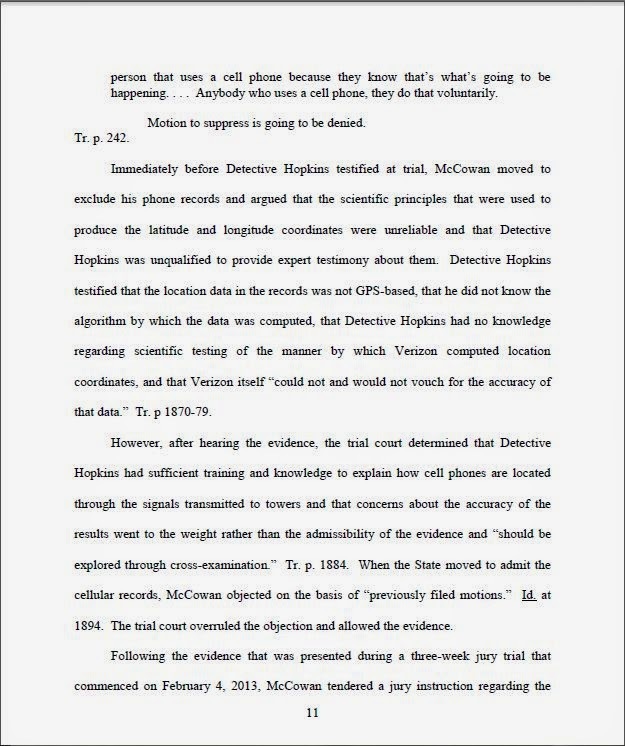 He reserves the right to take up other issues on direct appeal, but first must review the record considering he did not represent McCowan at the time of trial. 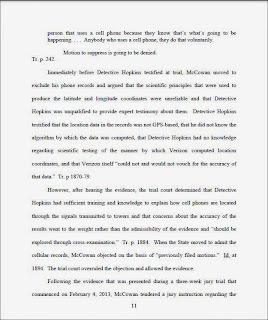 Those original defense attorneys — John Vouga and Nicholas Barnes — submitted a sworn affidavit supporting the claims that they were not made aware of the recording before the sentencing hearing and would have asked Alexa to recuse himself had they been provided a copy ahead of time. 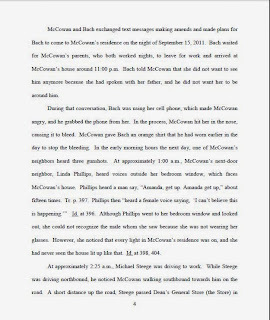 A jury found McCowan guilty in February of shooting his former girlfriend, 19-year-old Amanda Bach, of Portage, in the throat during the early morning hours of Sept. 16, 2011, after she showed up at the Union Township home he was living in at the time with his father. Bach's partially clothed body was found the next day less than 300 yards from the house in a wooded area along County Road 625 West at the Canadian National Railroad tracks. McCowan, 20, who has maintained his innocence, has been transferred to the Pendleton Correctional Facility to begin serving his time. 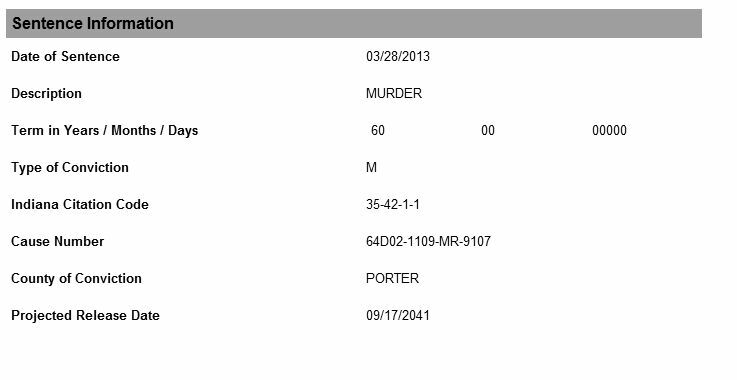 He is listed on the DOC's online offender search site with a release date of Sept. 17, 2041. 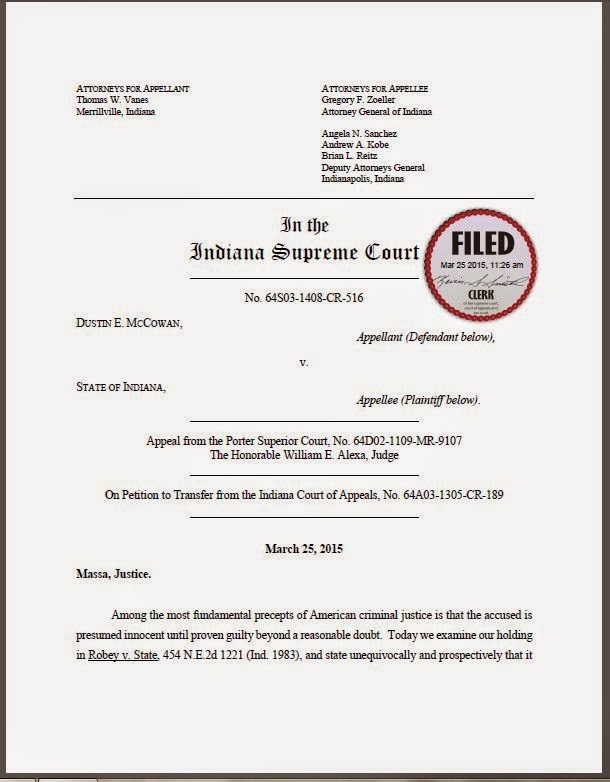 VALPARAISO - Less than three weeks after being sentenced to 60 years for murdering his former girlfriend, Dustin McCowan has been transferred to the Pendleton Correctional Facility to begin serving his time. 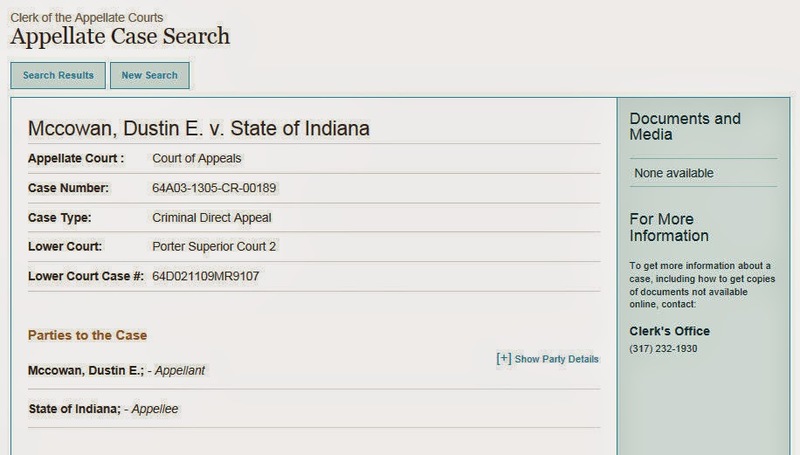 The prison is one of four maximum-level facilities in the state, which are used to house inmates with long sentences, said Douglas Garrison, chief communications officer with the Indiana Department of Correction. McCowan, 20, is listed on the DOC's online offender search site with a release date of Sept. 17, 2041. 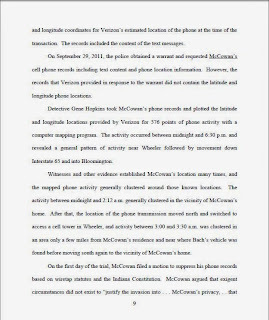 This reflects the earliest date he would be released if his behavior remains good and he earns a day off for each day served, Garrison said. 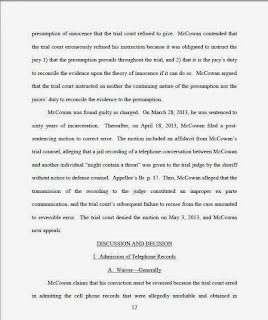 The release date could come even sooner if McCowan shaves more time off by taking part in educational or other programs. 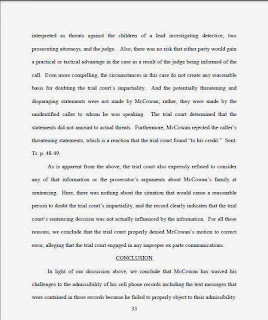 The county's public defender office has been assigned to file an appeal on McCowan's behalf, in an attempt at getting a reduced sentence or having his conviction set aside. 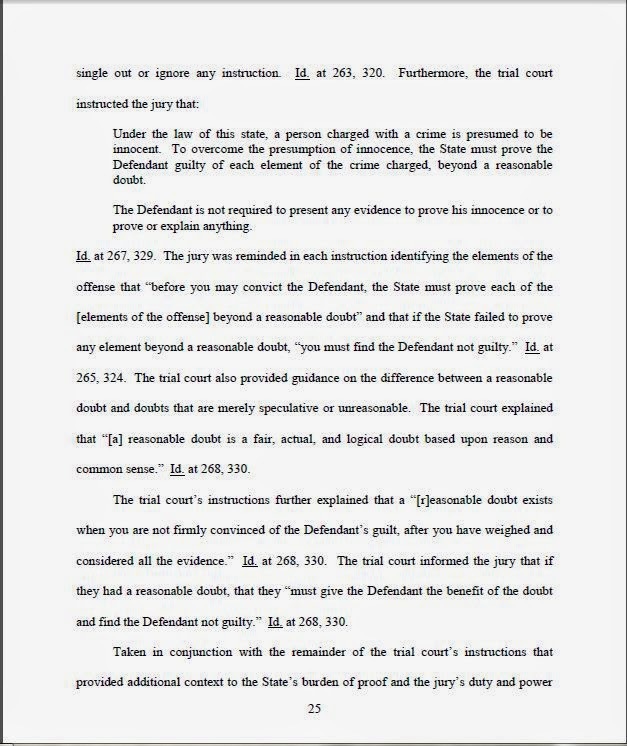 Garrison said legislation is pending before state lawmakers that would increase the amount of time served by giving inmates the opportunity to earn one day off for every three days of good behavior. 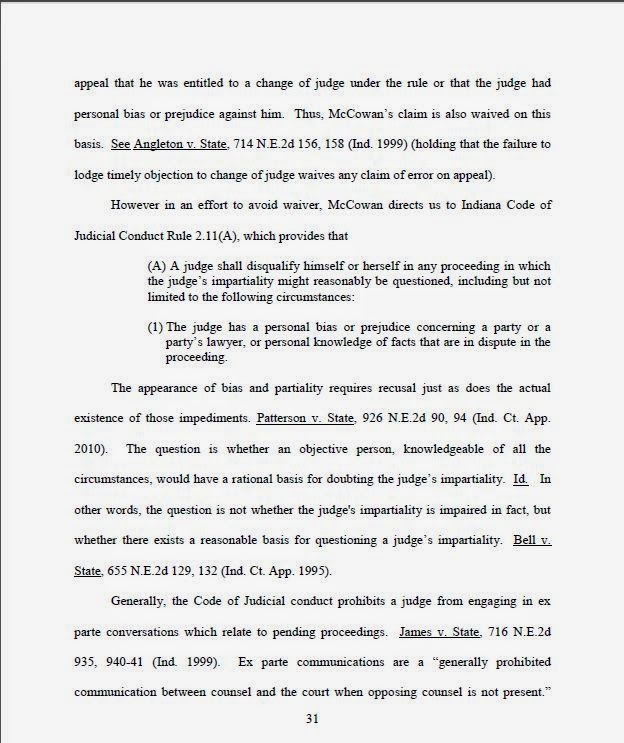 Any changes would not apply to McCowan. 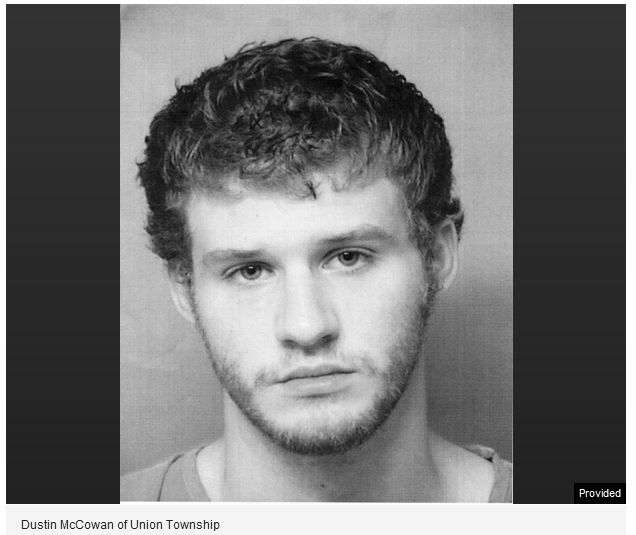 A jury found McCowan guilty in February of shooting 19-year-old Amanda Bach, of Portage, in the throat during the early morning hours of Sept. 16, 2011, after she showed up at the Union Township home he was living in at the time with his father. 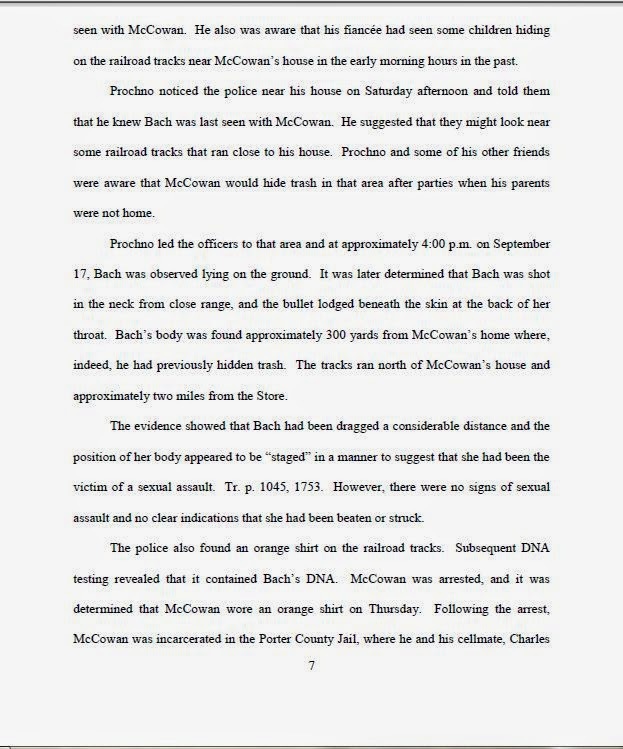 Bach's body was found the next day less than 300 yards from the house in a wooded area along County Road 625 West at the Canadian National Railroad tracks. 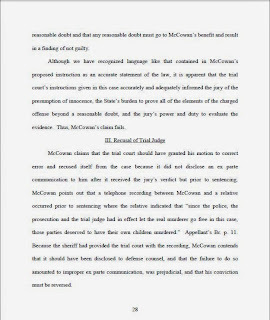 McCowan, who has maintained his innocence, declined the opportunity to testify during his nearly monthlong trial or to address the court at sentencing, other than saying, "I don't think the court deserves it, your honor." 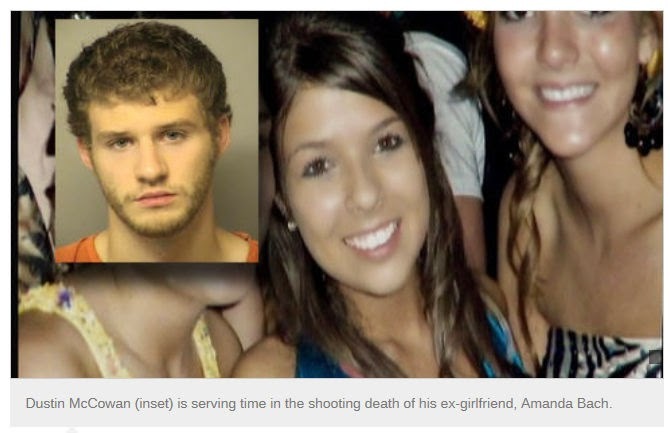 Murder or suicide? 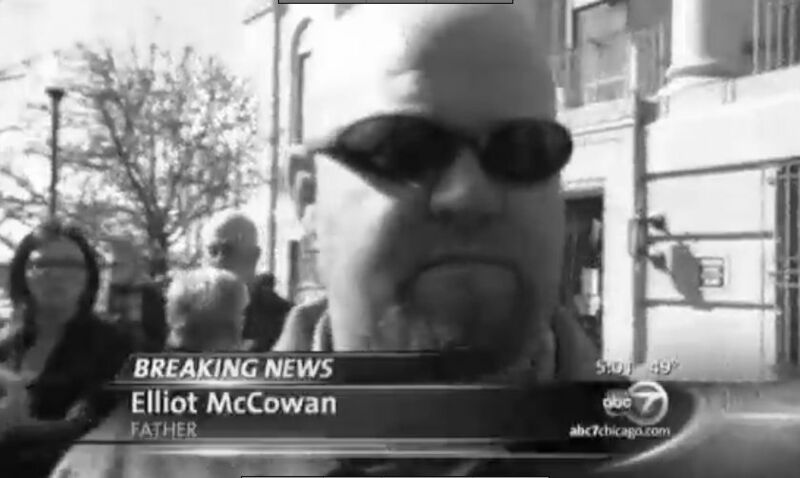 January 19, 2007. 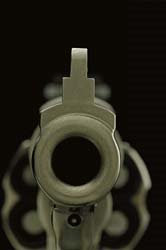 At every OIDV incident there is always a loaded gun...the abuser's department issued gun.